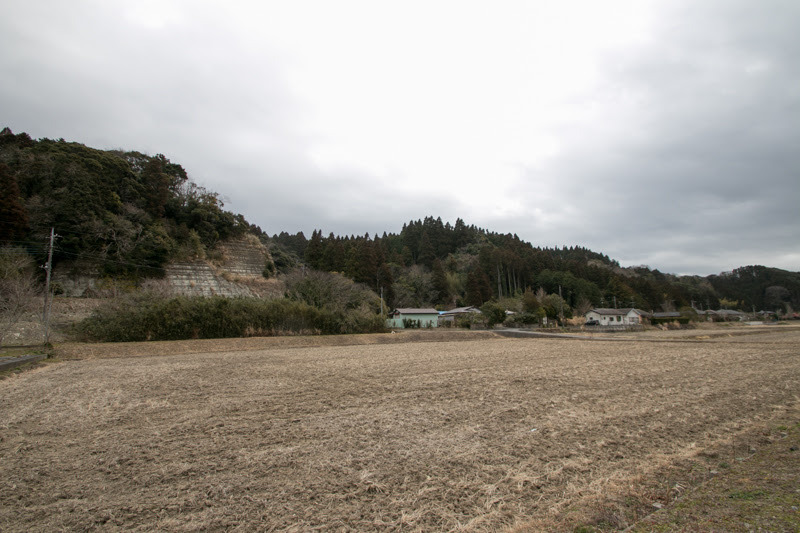 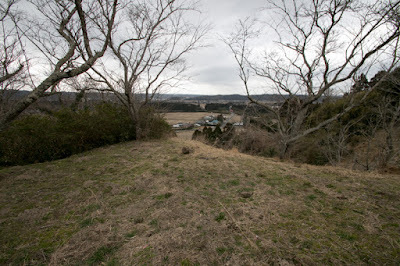 Isumi-gawa river forms wide flat area at its downstream which is rare at hilly south half of Boso peninsula, thus castle site is an appropriate area to grasp this granary area. 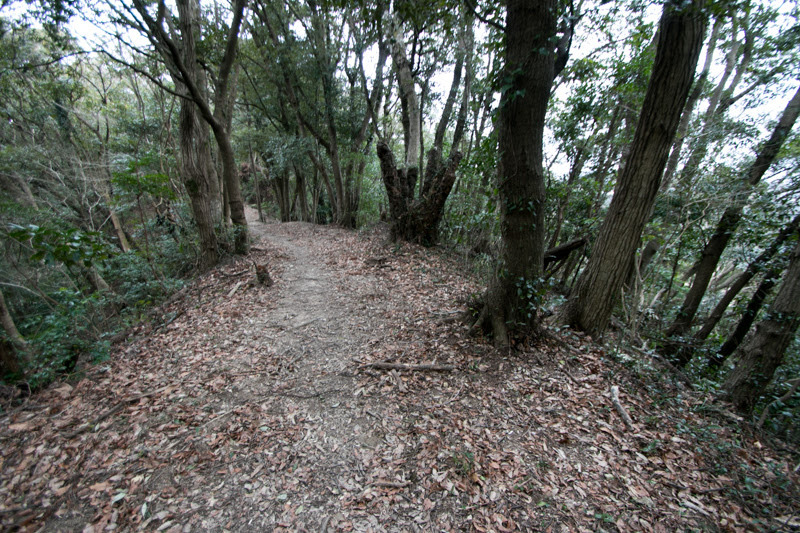 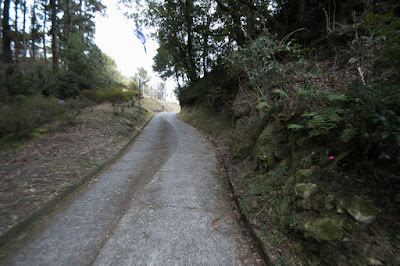 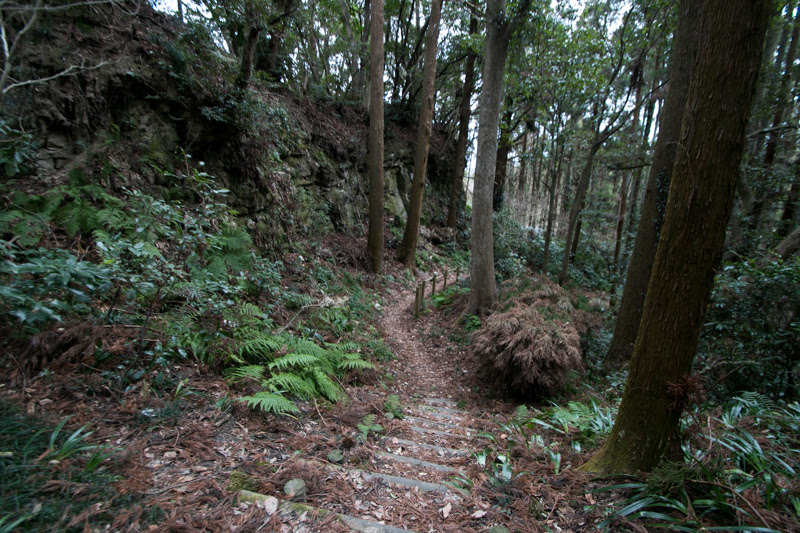 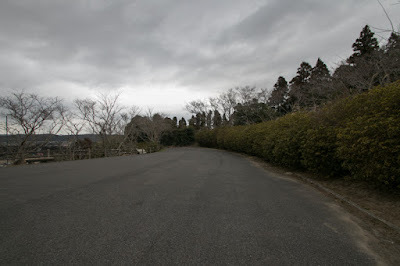 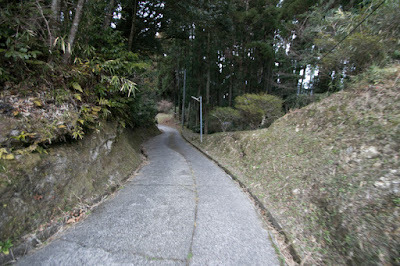 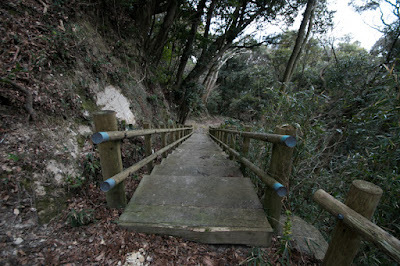 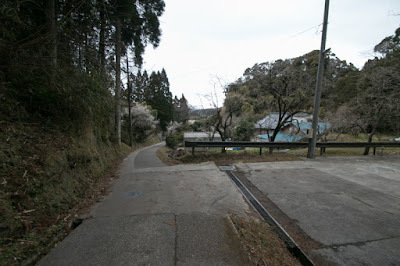 In addition, Shiroyama hill is surrounded its three direction by deep valley of Isumi-gawa river curves like Omega letter, which worked as a natural valley of the castle. In spite of the low height of the hill, these conditions made Mangi castle as one of the largest castles of the area. 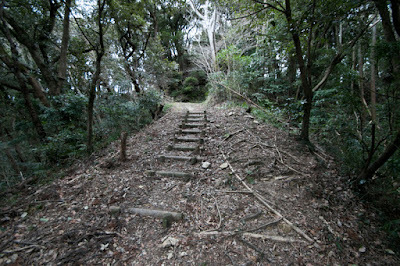 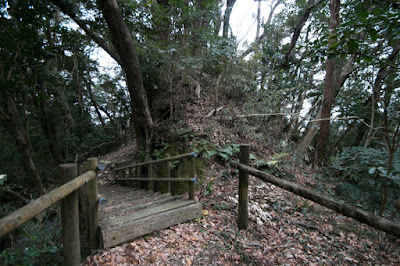 Origin of Mangi castle is unclear along with its master Toki clan, but might be built in the beginning of 16th century. 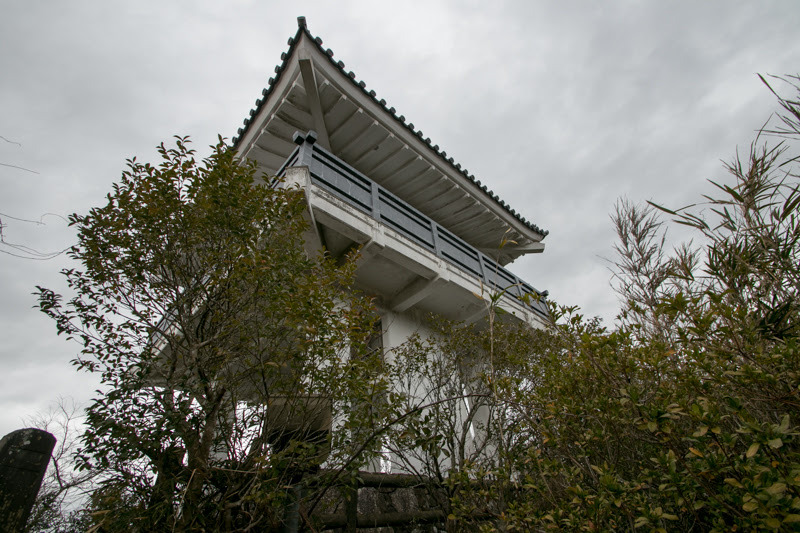 Toki clan was originally a distinguished family which was a branch family of Minamoto clan that later established Kamakura Shogunate and regarded as the leader of Samurais. Toki clan diverged from Minamoto clan in 11th century, then grew their power at their territory Mino province (Gifu prefecture) along with many branch families. 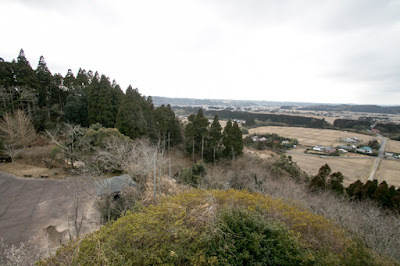 Toki clan activated at the established of Muromachi Shogunate and achieved vast territory, but being feared it power by Shogunate thus was subjugated and lost their territory other than Mino province. Furthermore Toki clan significantly lost their power by internal conflicts in the former half of 16th century, then Yoriaki Toki (1502-1582), last leader of the clan, faced uprising of Dosan Saito (1494-1556) and was expelled from Mino province in 1542, then ended its history as a warlord. 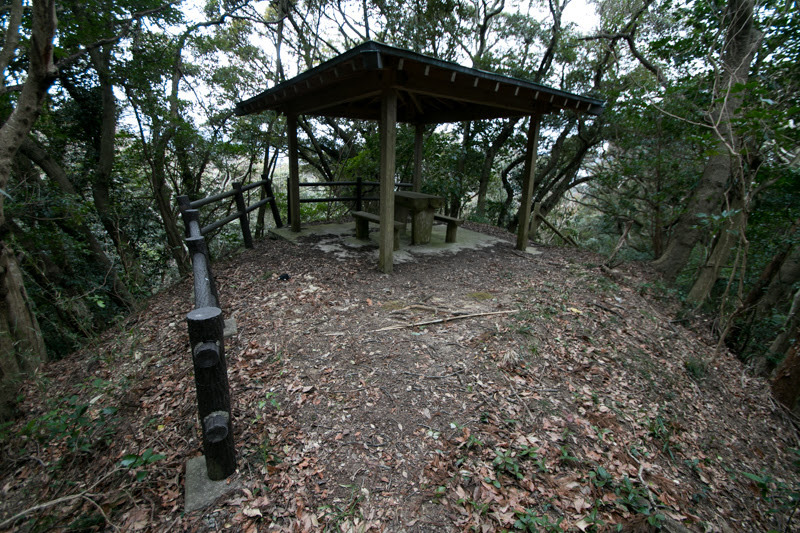 Kazusa Toki clan at Mangi castle was a branch family of Toki clan. 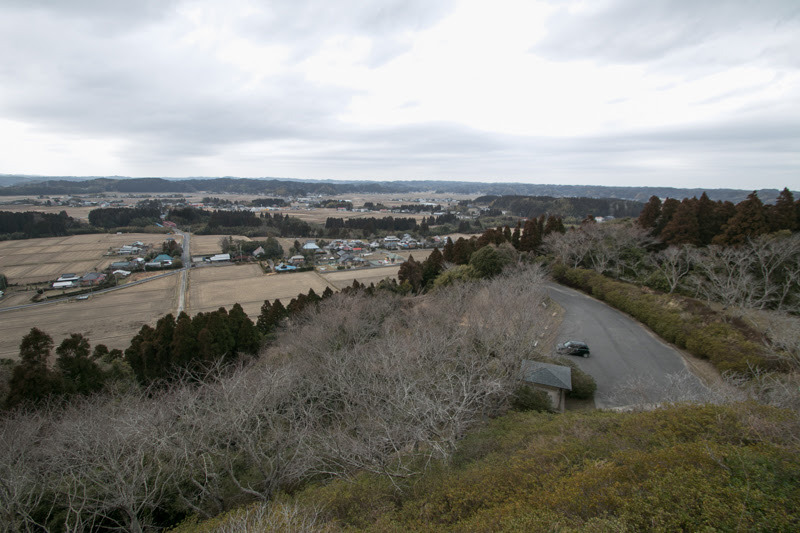 The process of the arrival of Kazusa Toki clan to Boso peninsula is totally unknown, many people of Toki clan served to Muromachi Shogunate as administrative staffs then some people of Toki clan accomplished with the high class person of Shogunate who was sent to Kanto region. Furthermore, Satomi clan which had a deep relationship with Kazusa Toki clan might be from Mino province, and at this time Satomi clan and Kazusa Toki clan originally related. 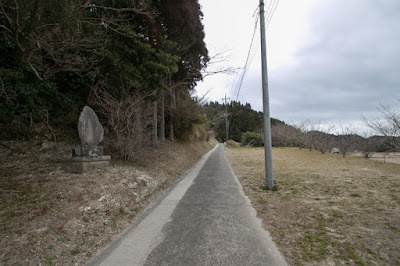 Anyway Kazusa Toki clan served to Satomi clan which seized Awa province (south edge of Boso peninsula) from Anzai clan in the beginning of 16th century, and contributed its expansion. 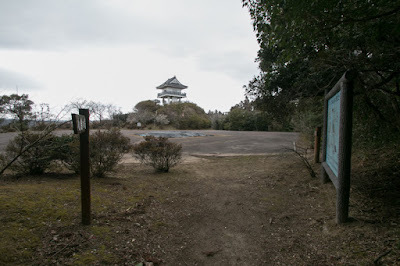 Satomi clan which captured Awa province next expanded into Kazusa province (middle part of Boso peninsula) which was held by Mariyatsu Takeda clan at Mariyatsu castle. 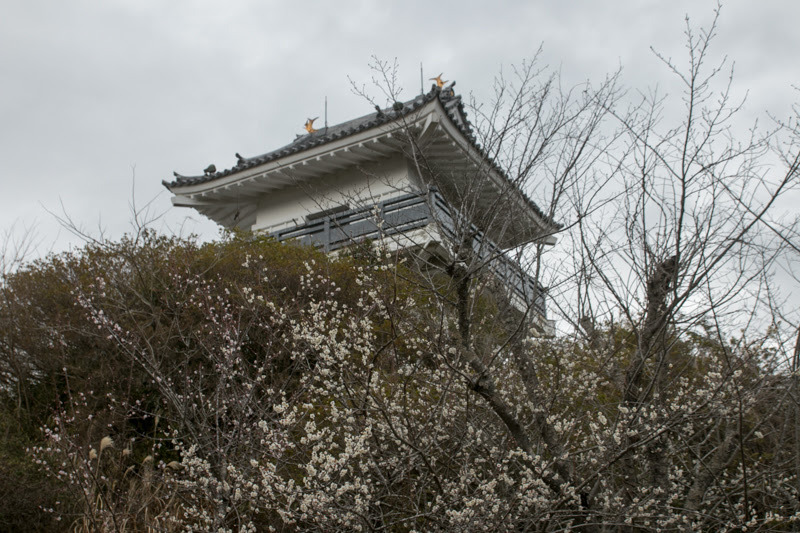 Mariyatsu Takeda clan once prospered and built large branch castles such as Kururi castle, Otaki castle or Sanuki castle, but rapidly lost their power by internal conflict. 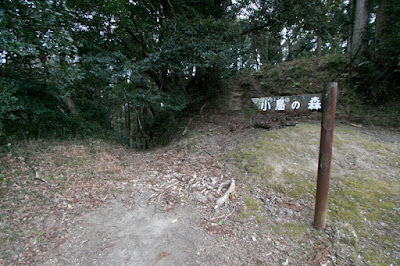 Yoshitaka Satomi (1507-1574), the leader of Satomi clan who was a marital relative of Kazusa Toki clan, deprived Kazusa province from Mariyatsu Takeda clan and placed Toki clan as a lord of Isumi-gawa river area. 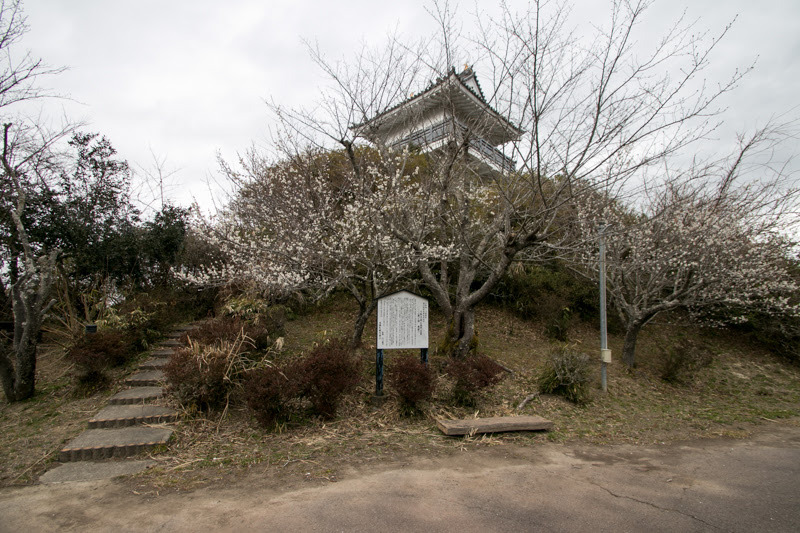 Kazusa Toki clan built Mangi castle as a main base of the clan, and Tameyori Toki (?-1583), the leader of Toki clan, activated for Satomi clan along with another strong retainer Masaki clan. Satomi clan which captured most part of Boso peninsula next experienced fierce battle with Hojo clan, the lord of Odawara castle (Kanagawa prefecture) which ruined old power of Kanto region such as Ogigayatsu Uesugi clan or Yamanouchi Uesugi clan and continued expansion at Kanto region. 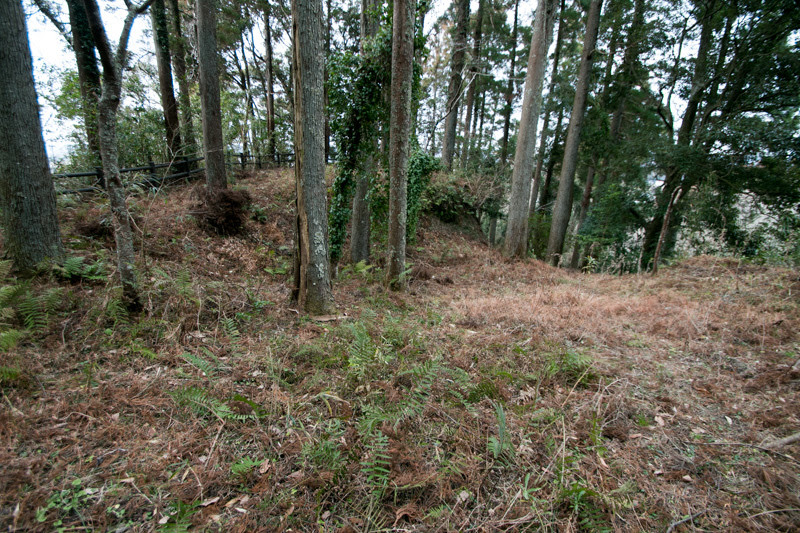 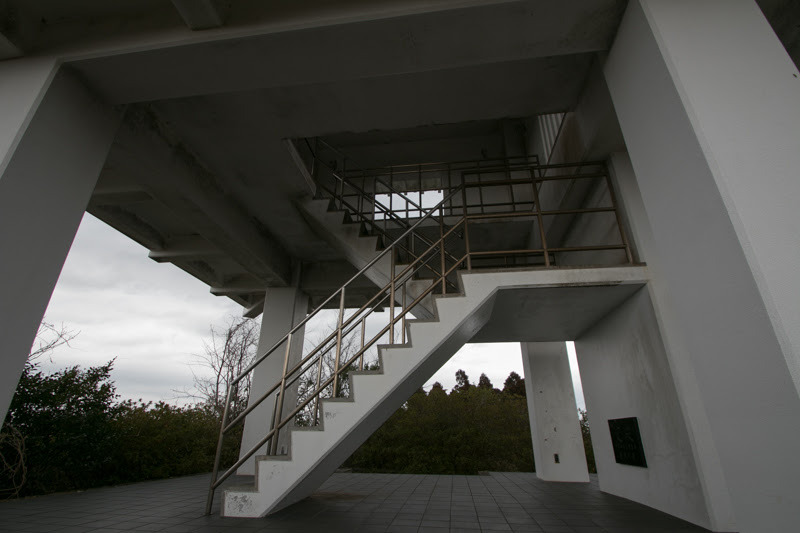 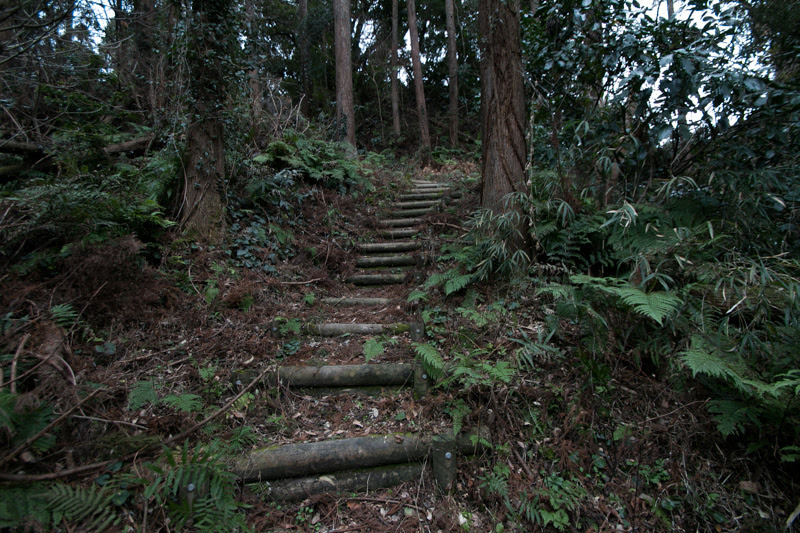 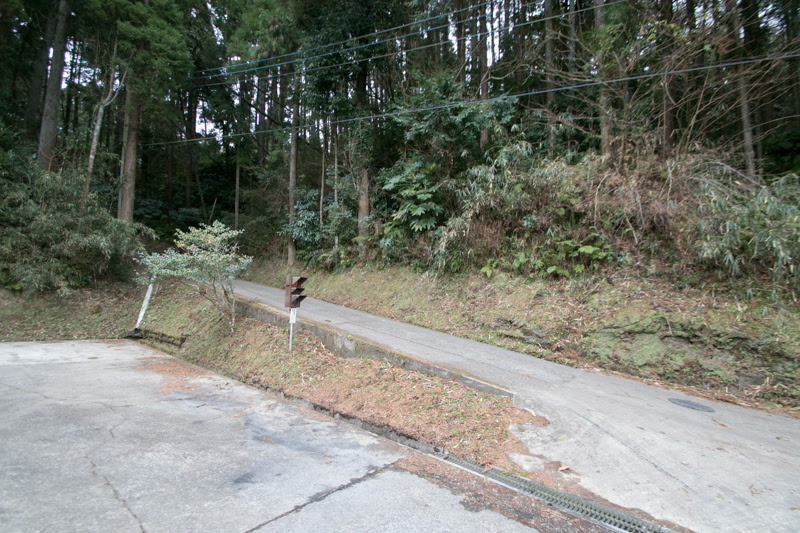 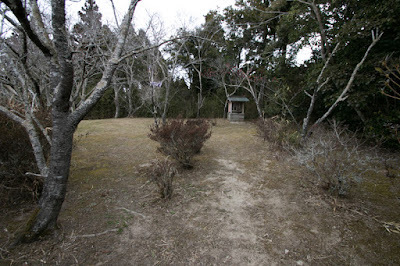 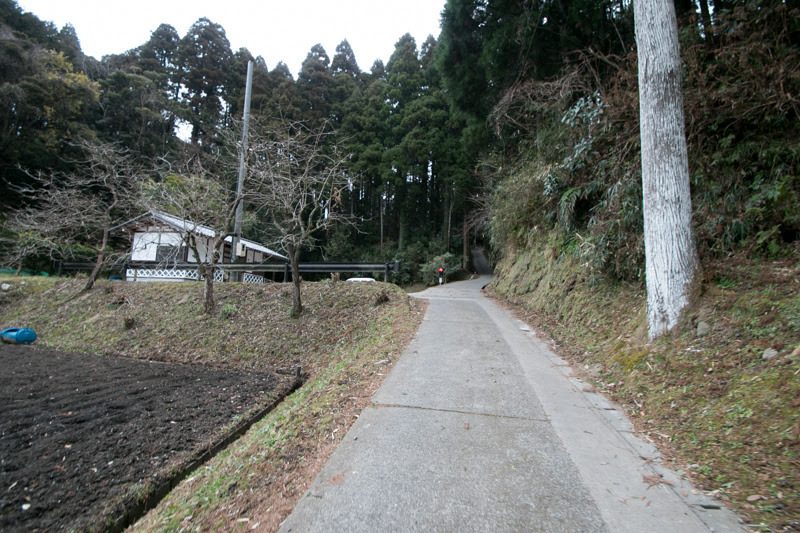 Satomi clan rejected the attack of Hojo clan toward their main base Kururi castle in 1560, but suffered severe defeat at the battle of Konodai in 1564. Base on this victory Hojo clan tried to invite the retainers of Satomi clan to their side, and Tameyori Toki turned to Hojo clan at this time. Even though Hojo clan was stronger than Satomi clan, the territory of Kazusa Toki clan was far from the border of Hojo clan, and was surrounded by main army of Satomi clan at Kururi castle and its strong retainer Masaki clan at Otaki castle (Chiba prefecture) or Katsuura (Chiba prefecture) castle. 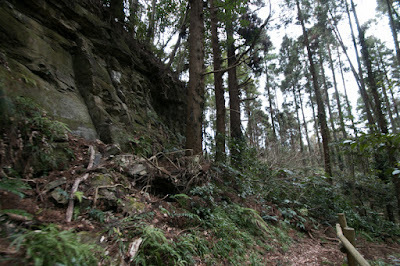 Preparing for the attack of Satomi clan, Mangi castle might be expanded and strengthened at this time. 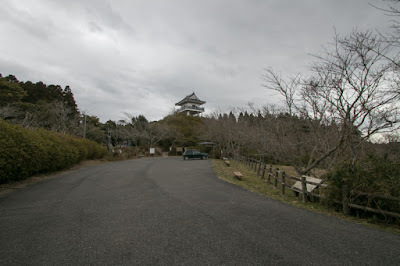 Mangi castle spreads over a vast hill of 1,000 meter long and 500 meter wide. 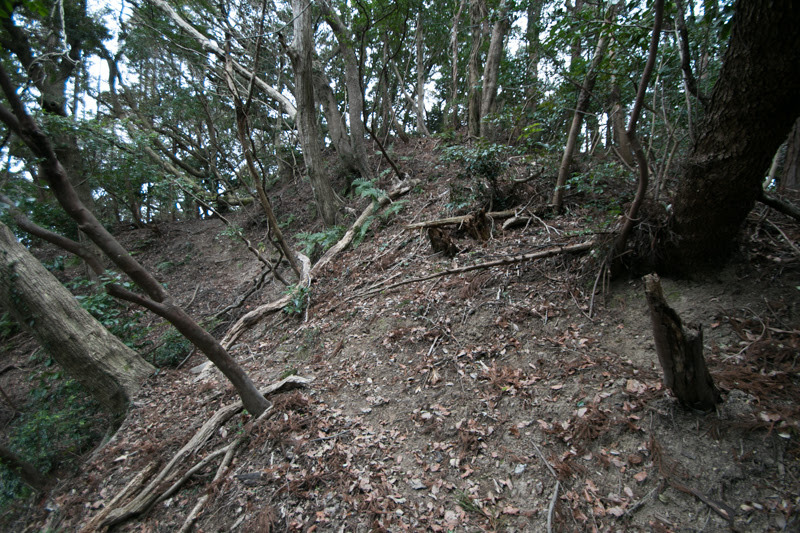 The north half of the hill has relatively gentle slope, thus numerous terraces are built from the top of the hill to hillside. 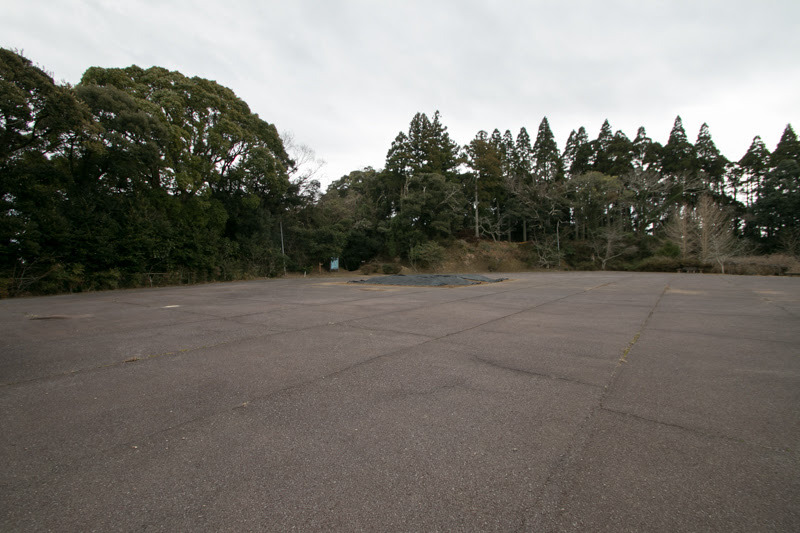 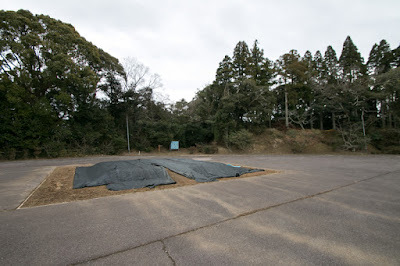 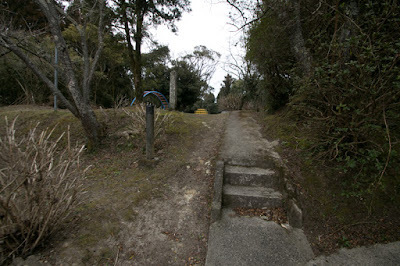 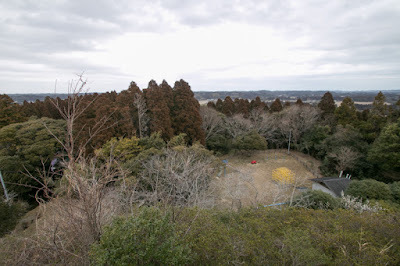 The central area of the castle is said as a rectangular terrace of 60 meter long and 20 meter wide at the top of the hill called as Kuranodai, where is said as a storage and burnt rice was actually found. At the north of central area, there is a large flat area which is about 50 meter long square, might be used as a ground for the residence of the lord. At the edge of this area there is a small peak now used as a basement of watching tower, which might also be used as a place of tower. 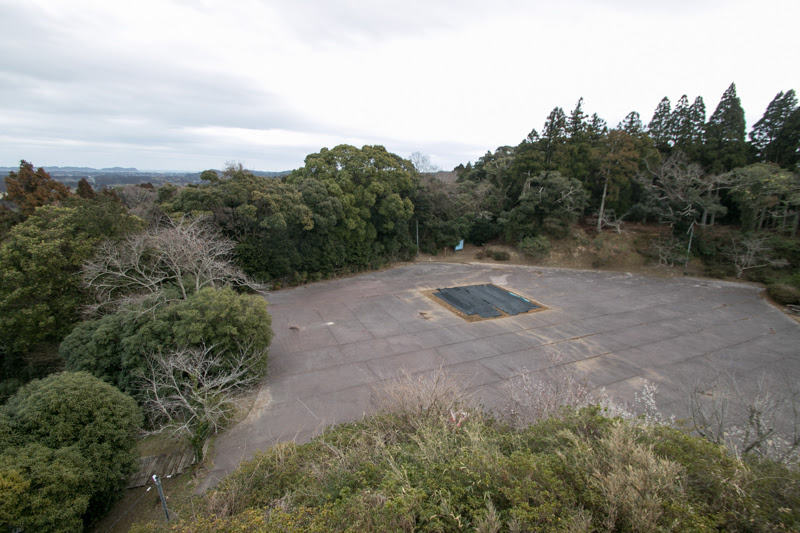 Ahead of this peak, there are several large terrace now used as a park of parking, which might be a part of core areas. 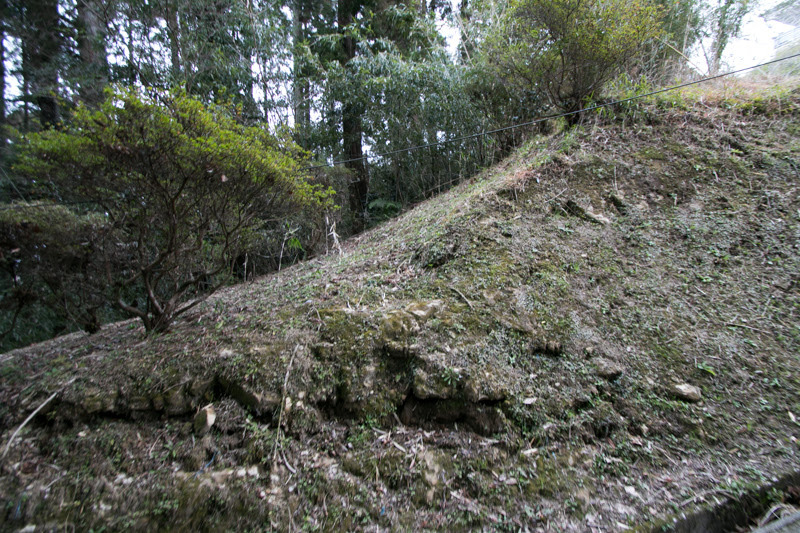 At the north of these core areas, along with gentle slope gradually goes down toward north, many terraces are built digging the hill. 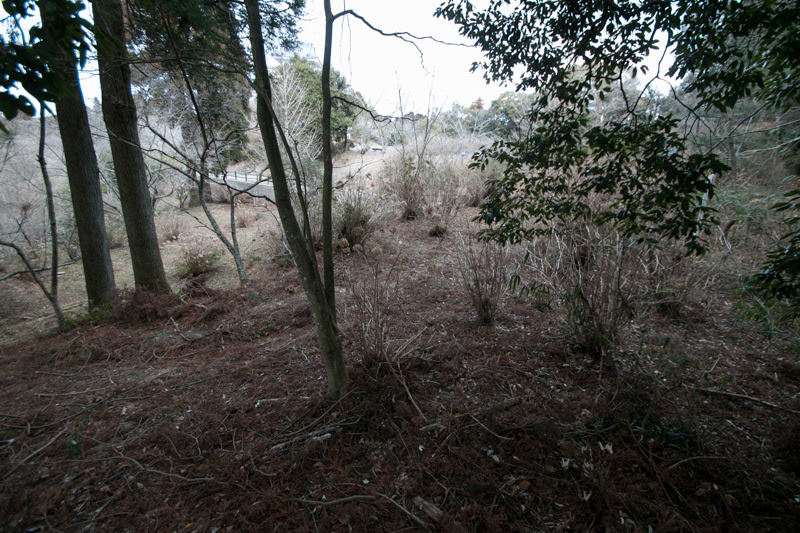 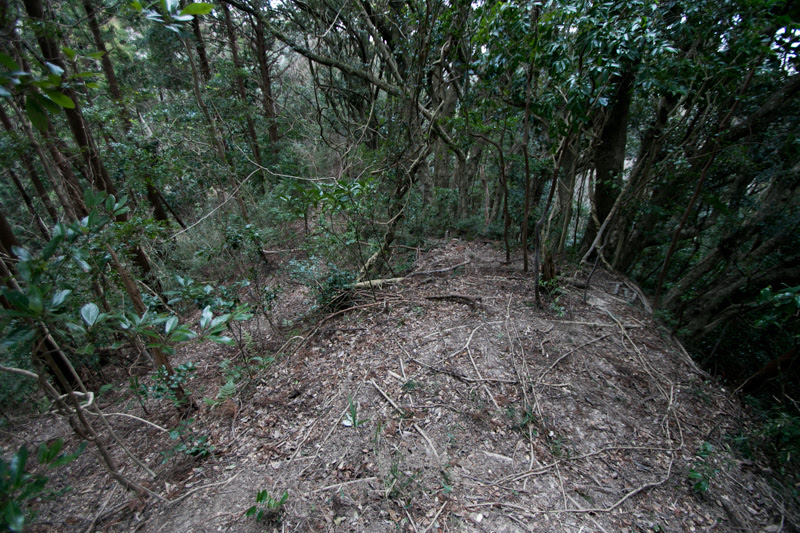 According to the investigation the edge of this hill is shaped as a line of clay wall, but these areas now become private properties and can't enter these parts. 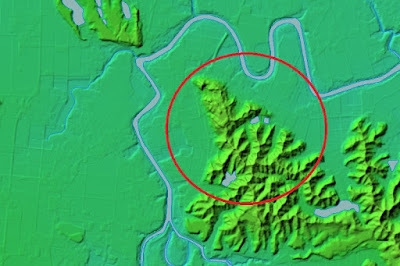 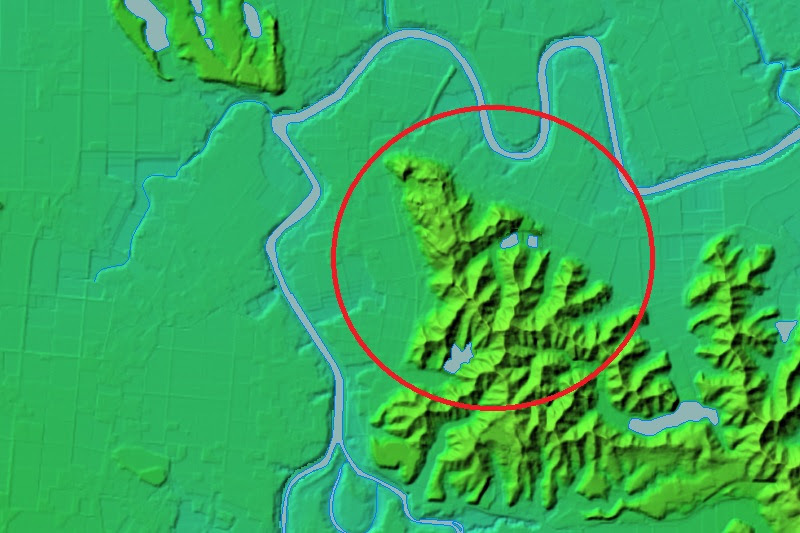 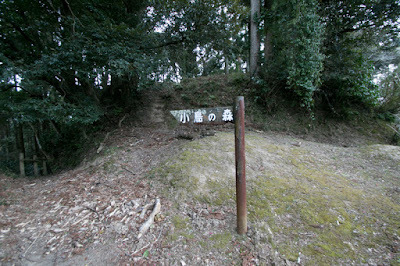 A small valley at the east of core areas might be the main gate of the castle, with a castle town at hillside which is protected by dry moat and river. 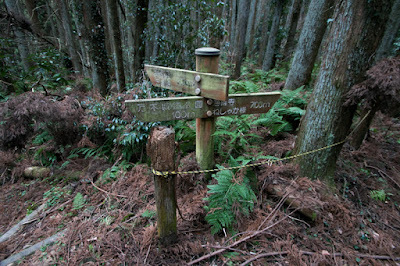 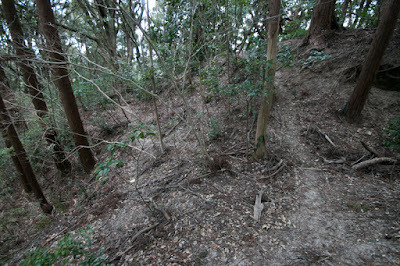 At the south of core areas, a line of narrow path formed by digging ridges spreads over 1 kilometer toward southeast. 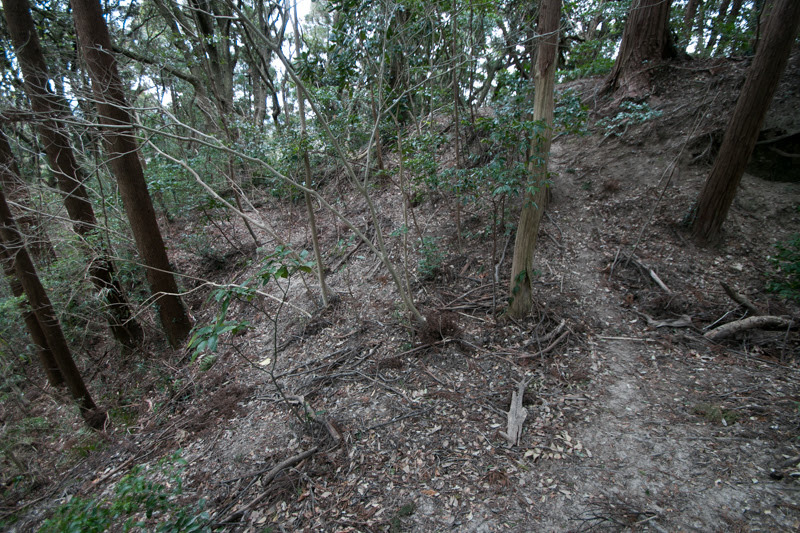 They are basically a linear line but diverge at several part, and at these parts a small round flat spaces are built to control these lines. 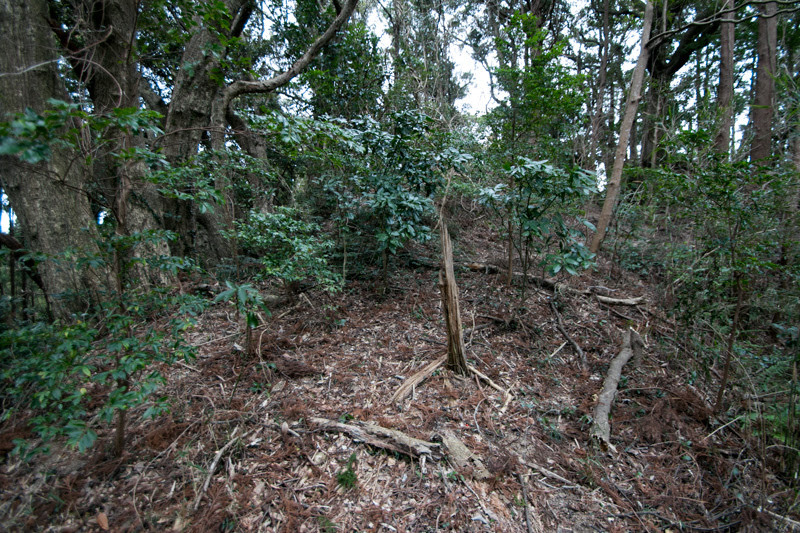 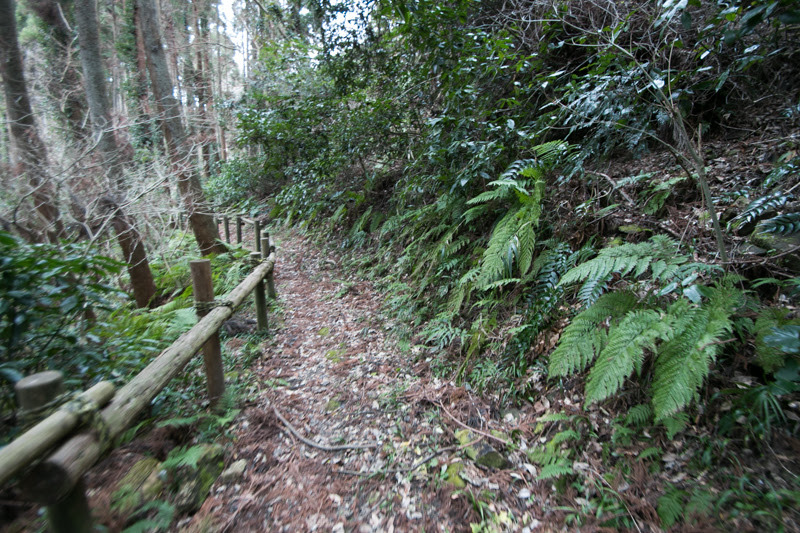 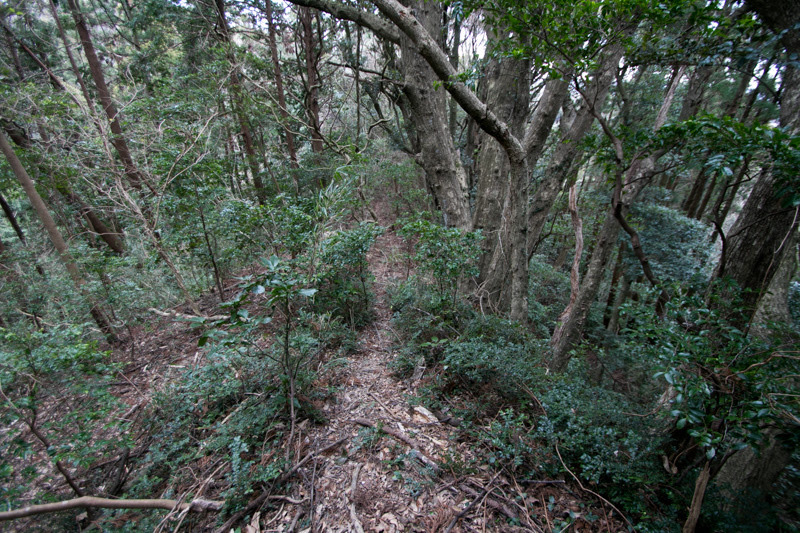 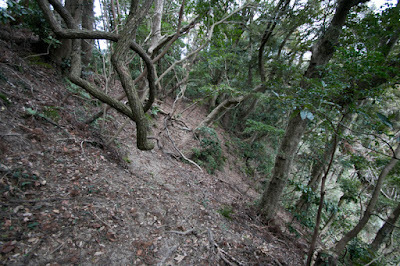 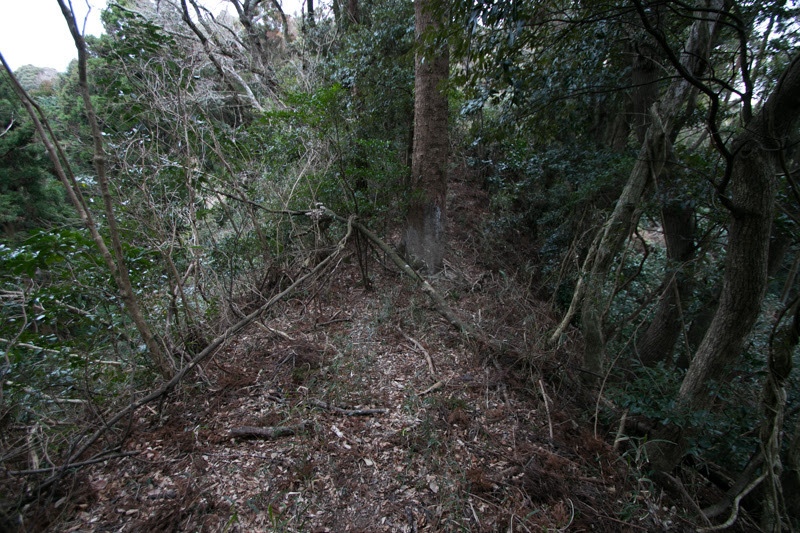 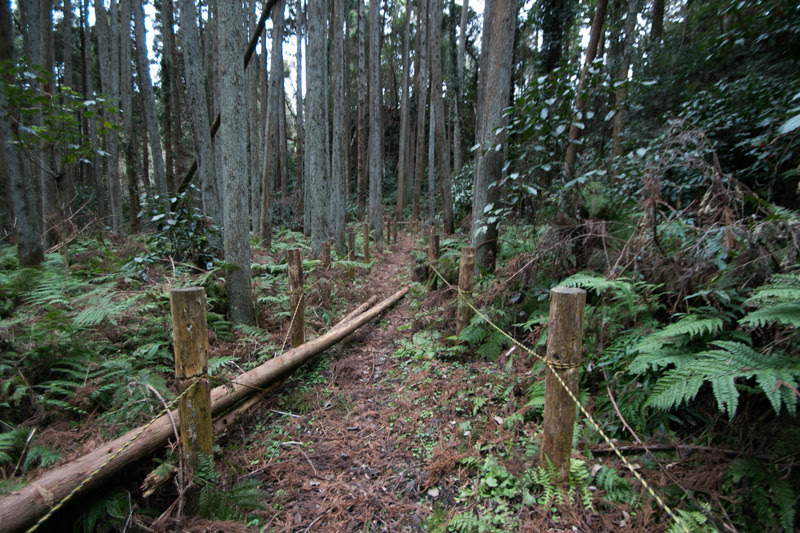 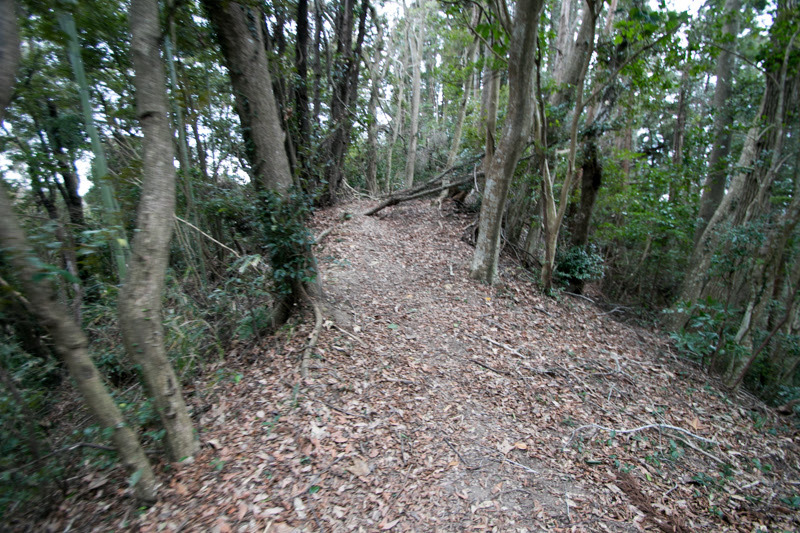 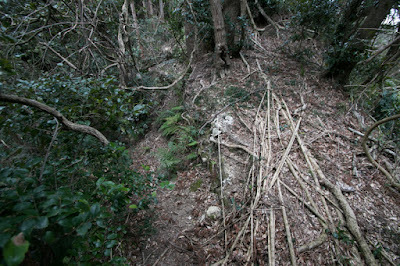 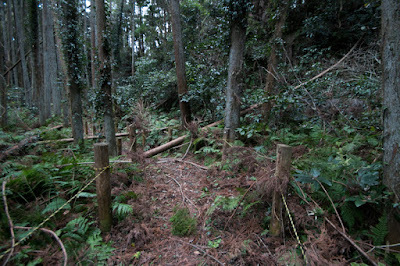 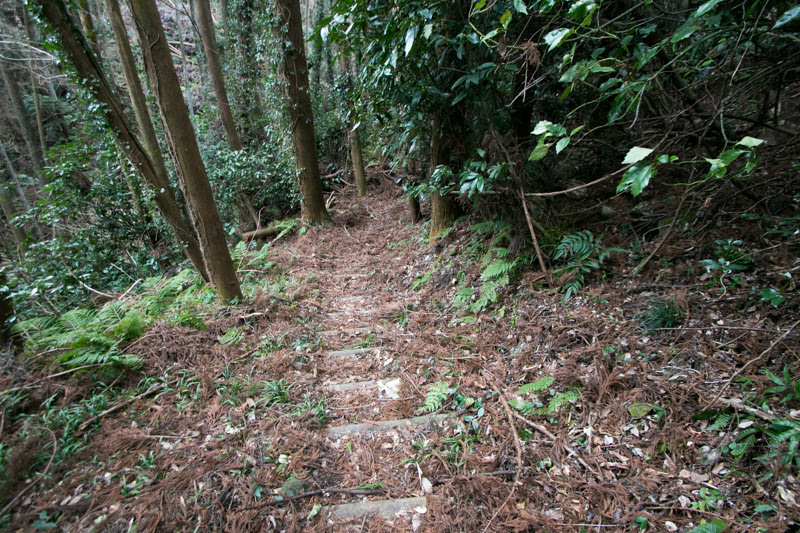 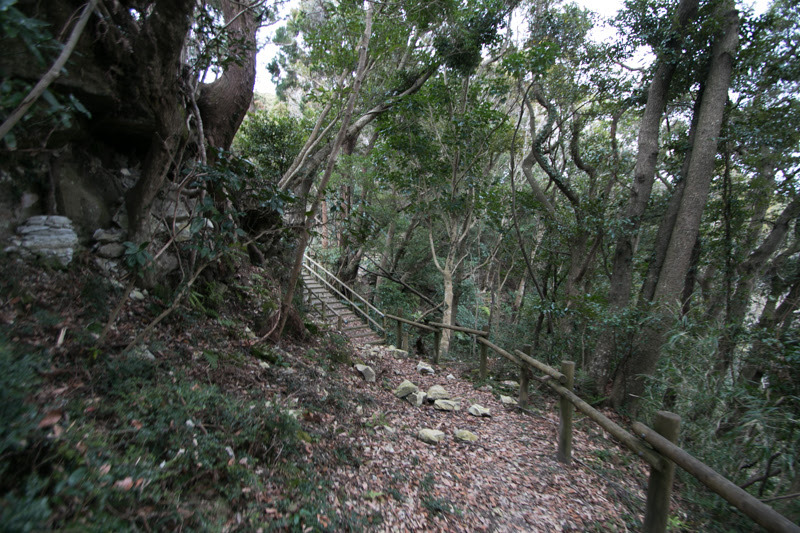 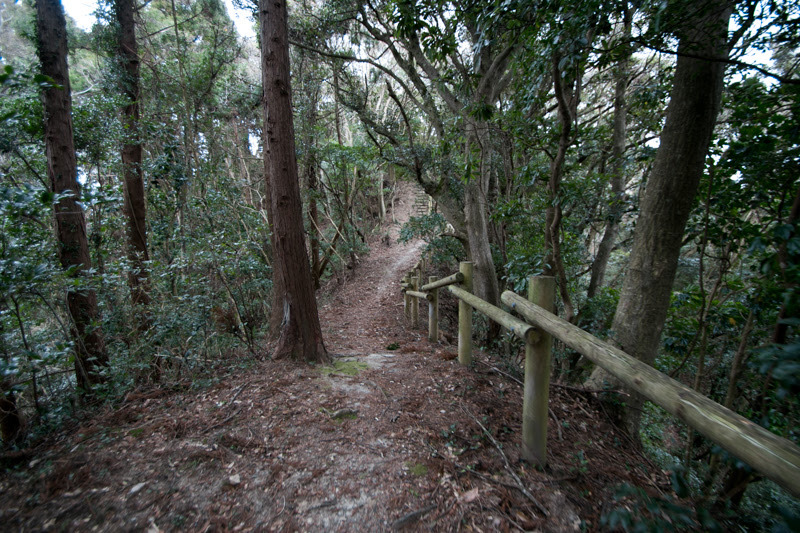 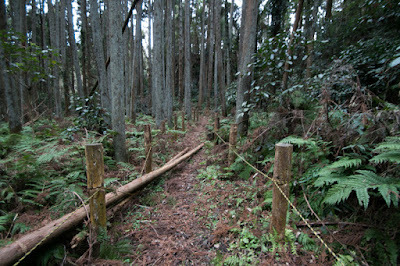 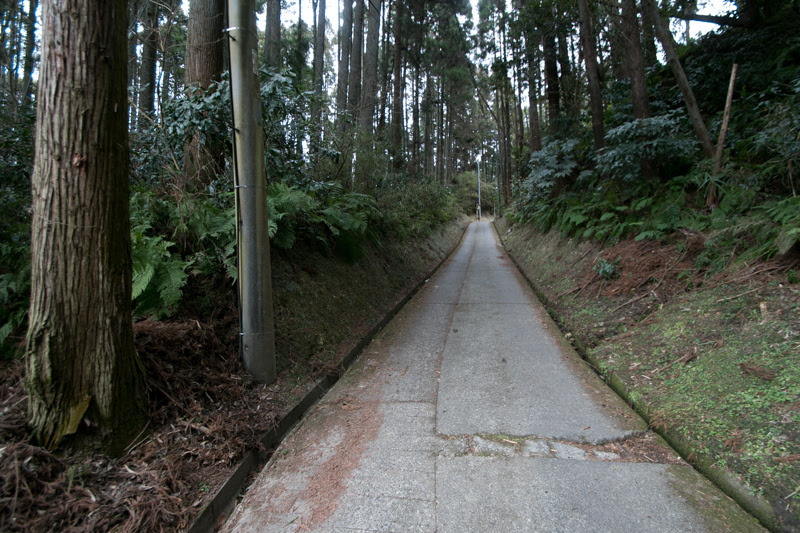 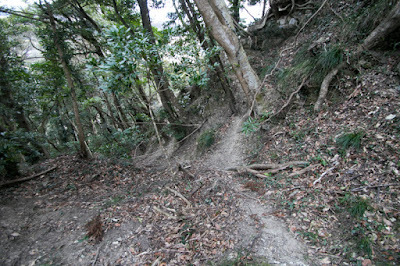 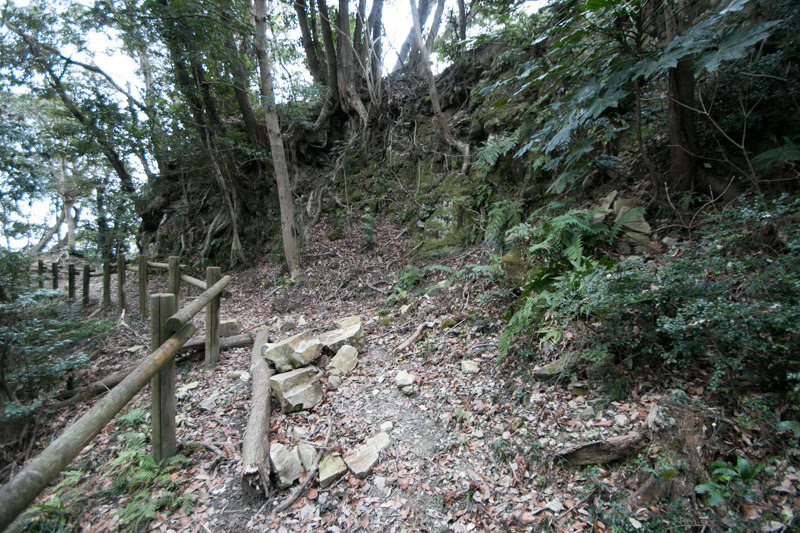 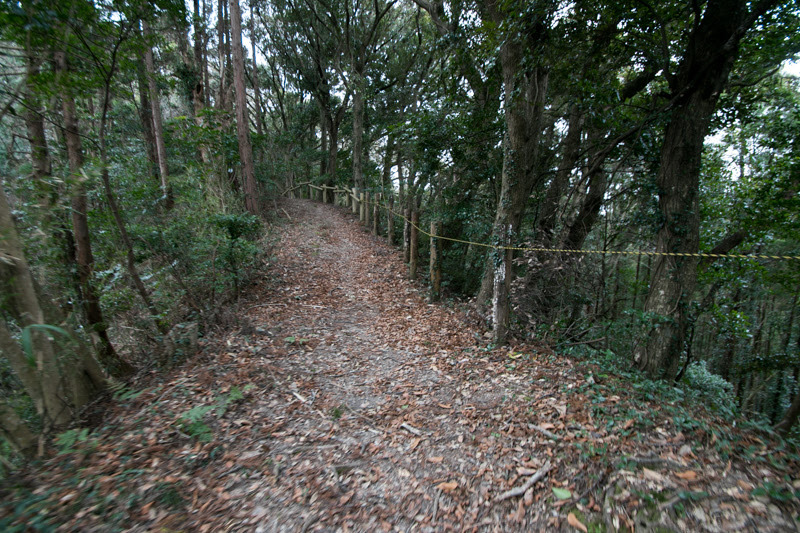 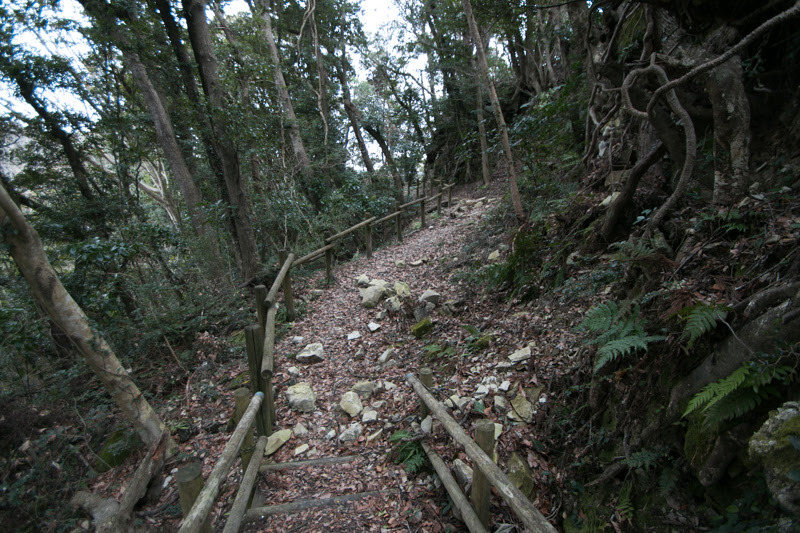 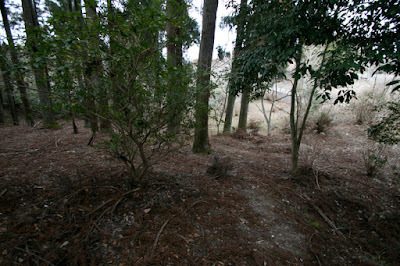 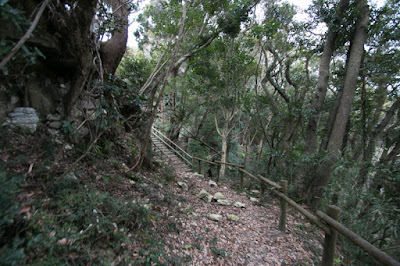 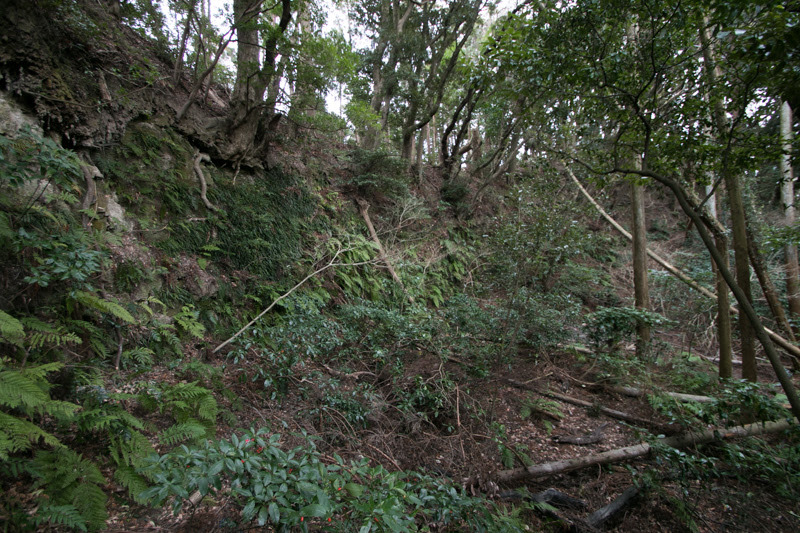 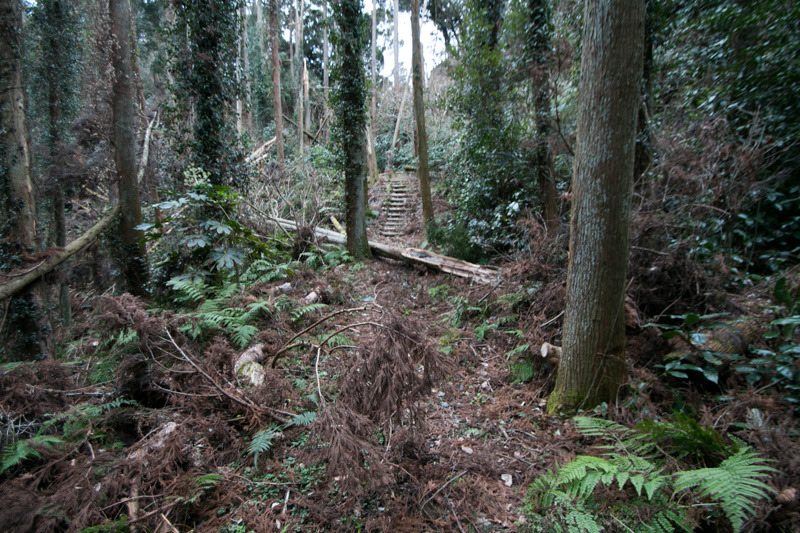 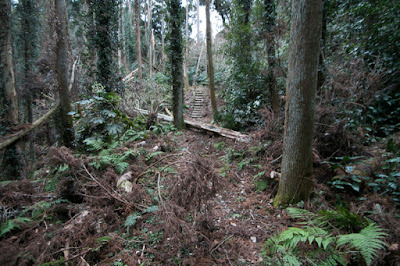 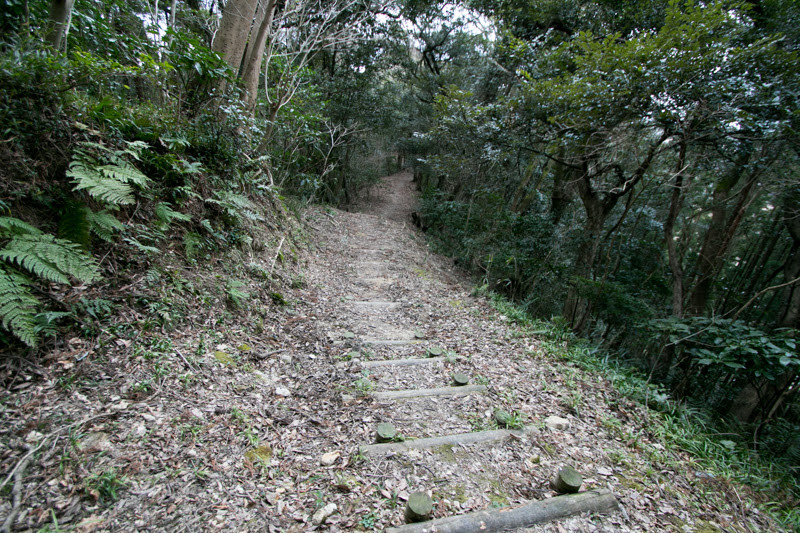 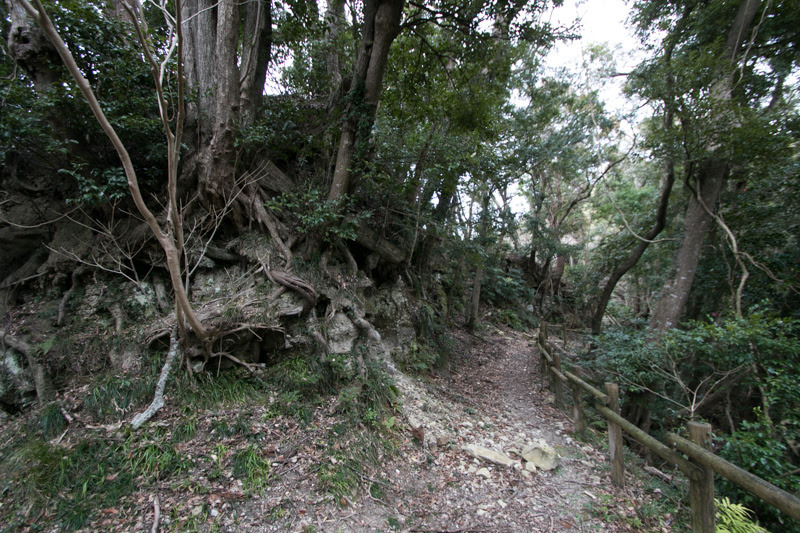 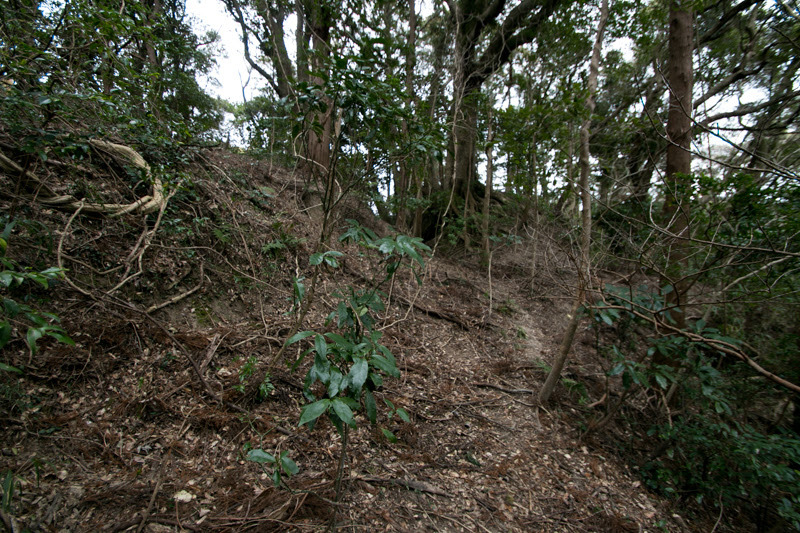 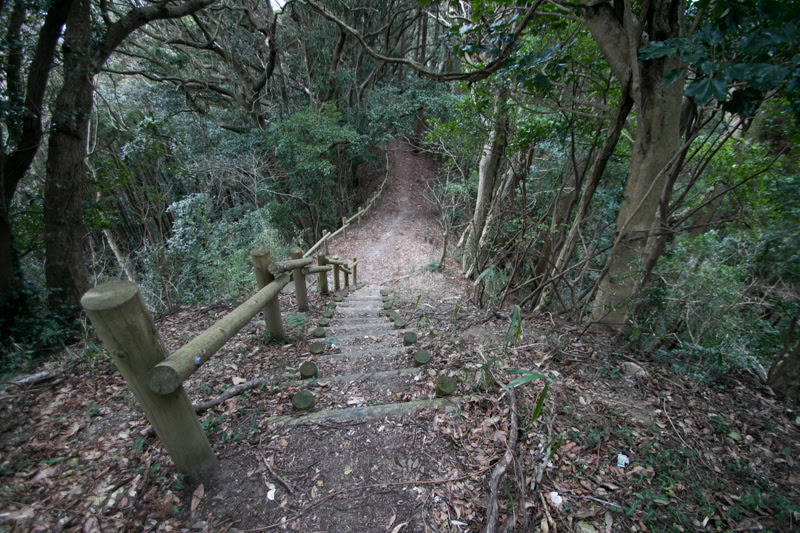 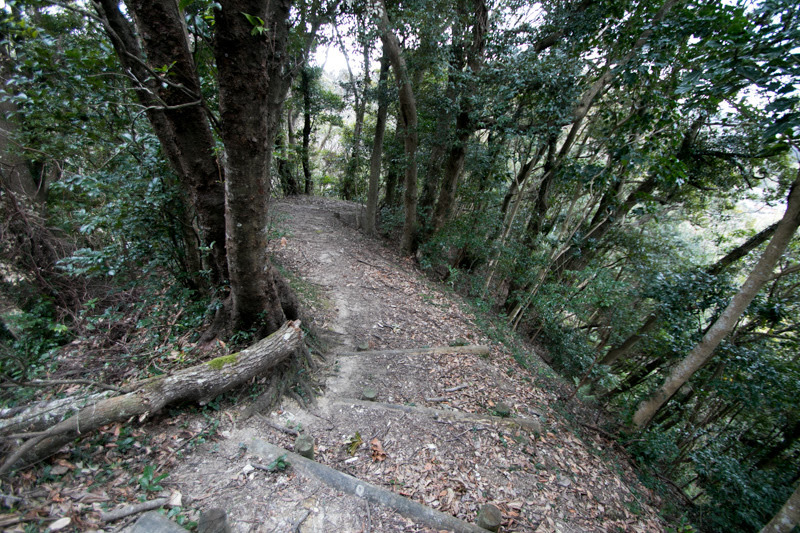 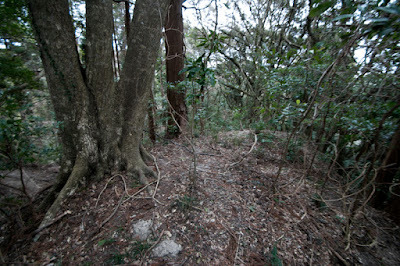 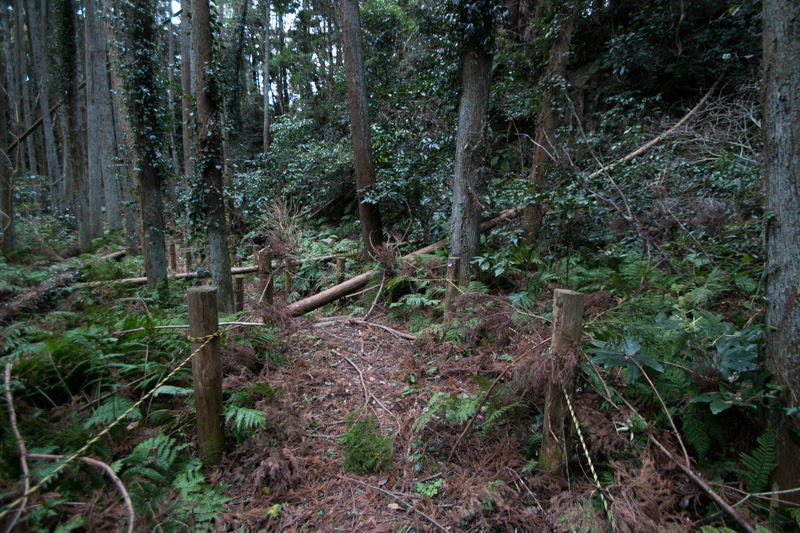 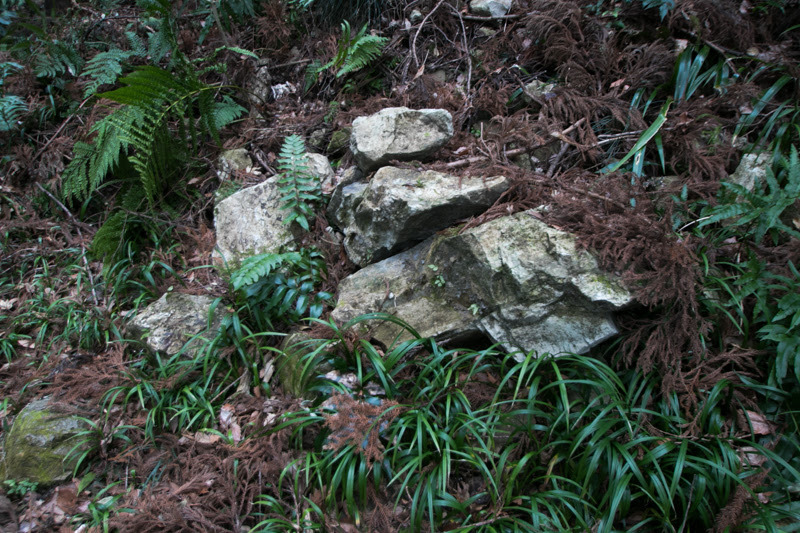 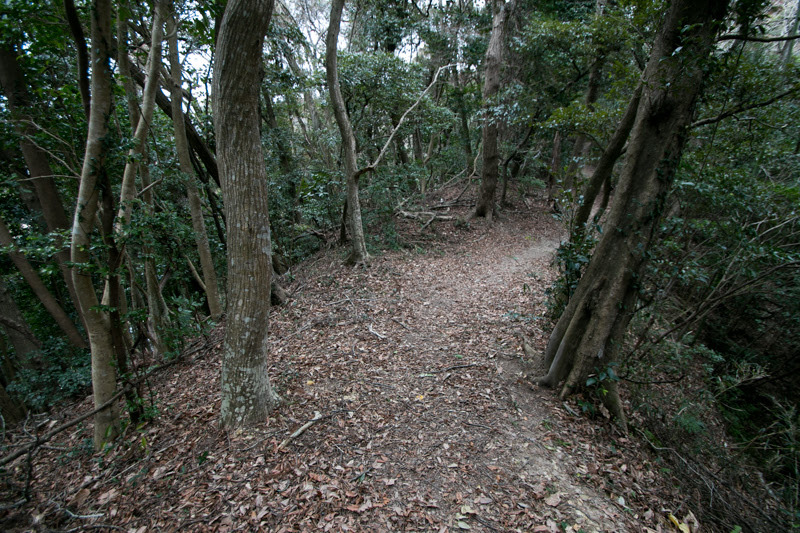 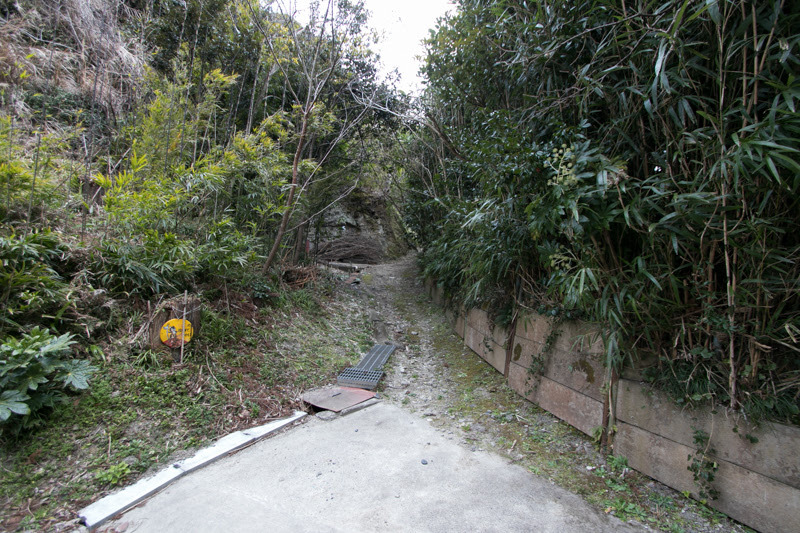 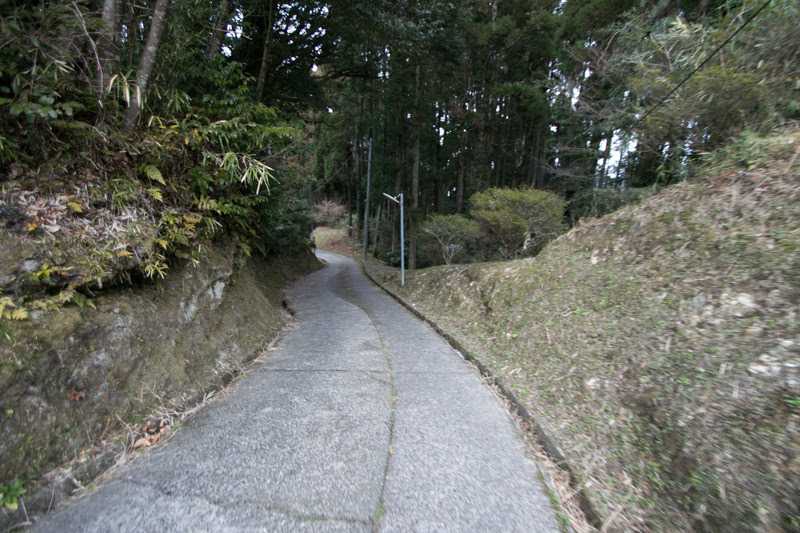 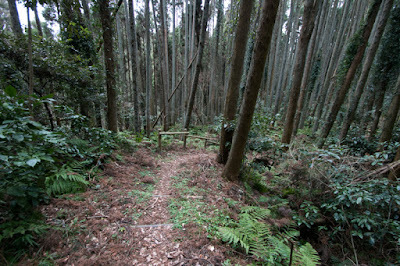 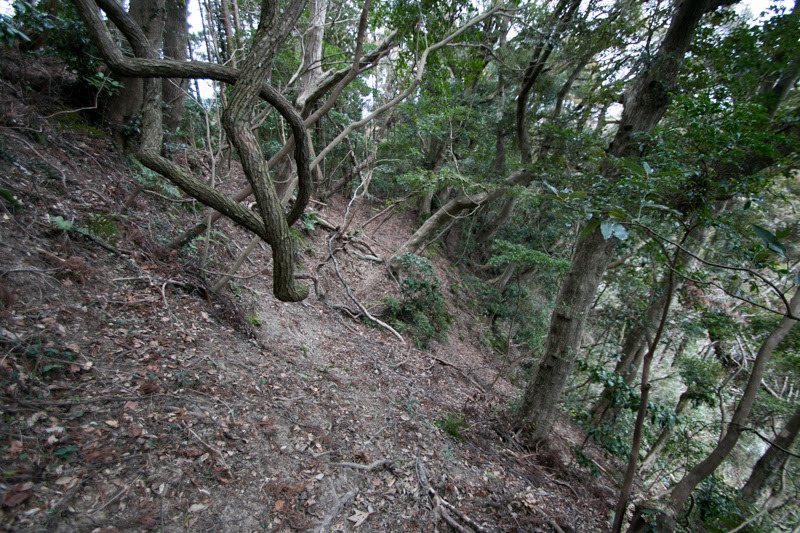 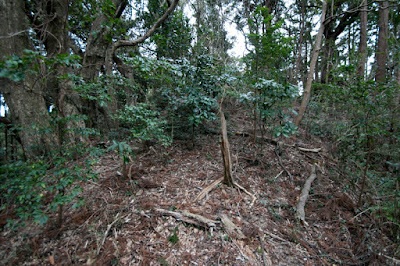 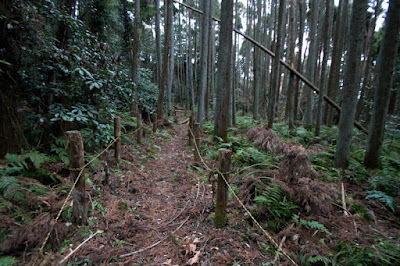 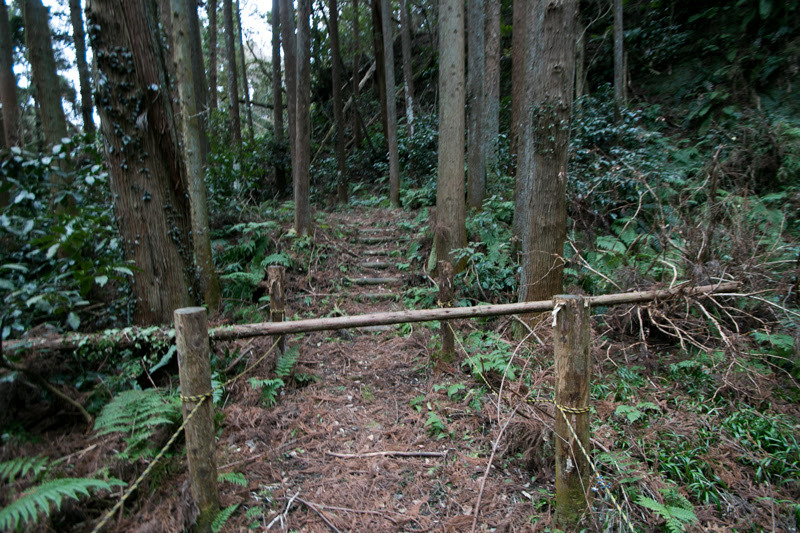 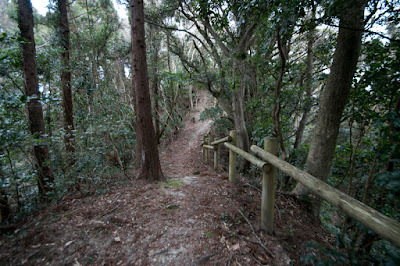 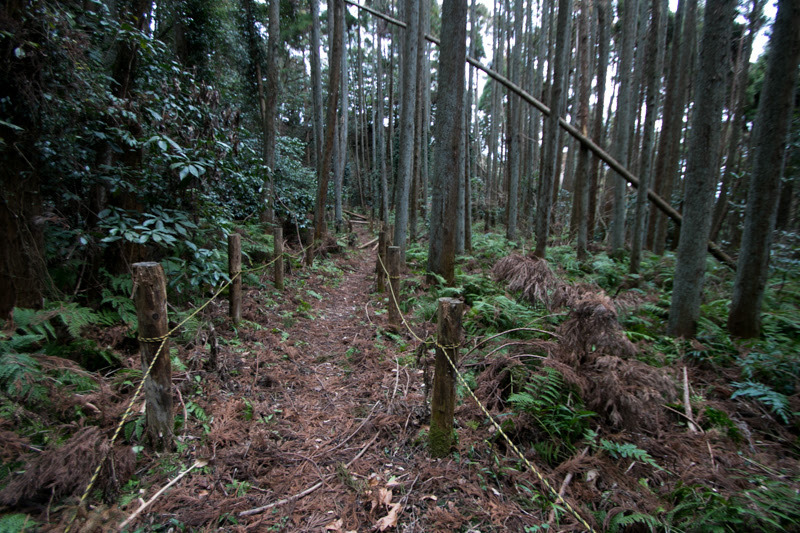 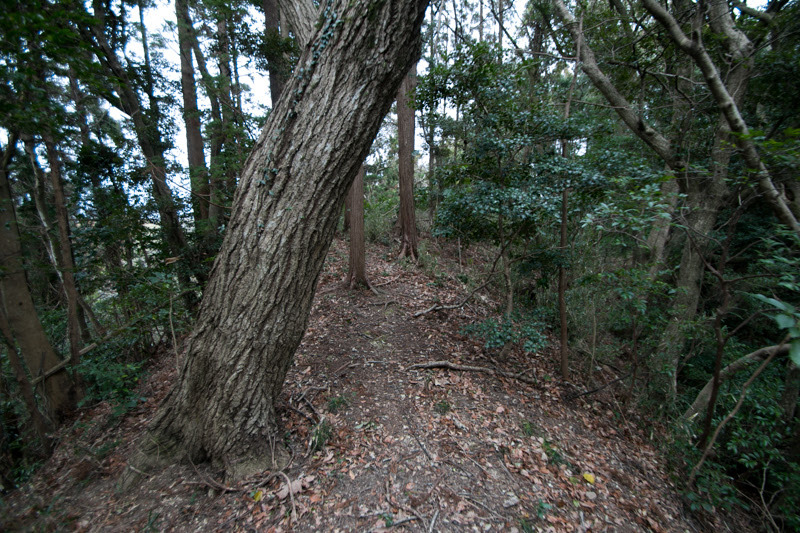 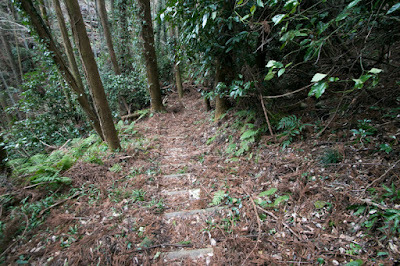 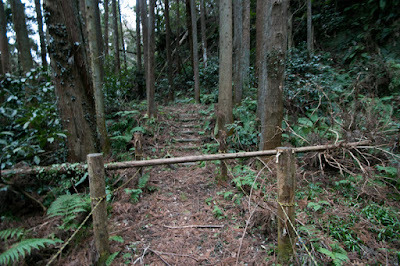 As these paths are covered by bushes and collapses at several parts, it is difficult to trace whole part of this defense line. 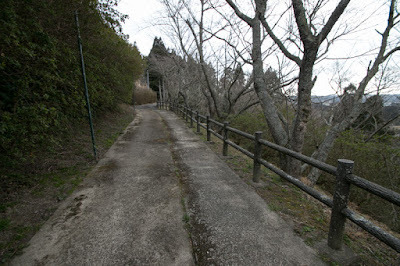 This type of narrow and long line is seen at many castles of Kazusa province such as Kururi castle (Chiba prefecture) or Sanuki castle (Chiba prefecture) used by Satomi clan, and Mangi castle adopted the technology of Satomi clan even though became hostile. 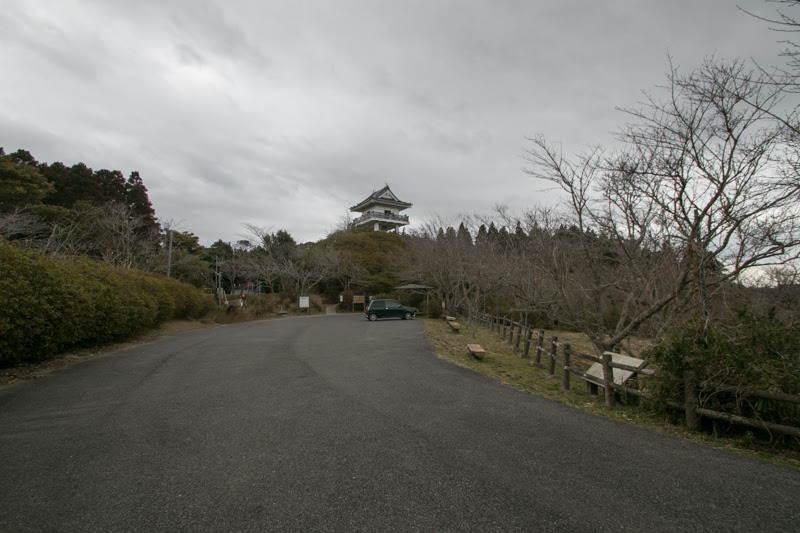 Total size of the castle reached to 1 kilometer long and 500 meter wide, and is one of the largest castle at Boso peninsula. 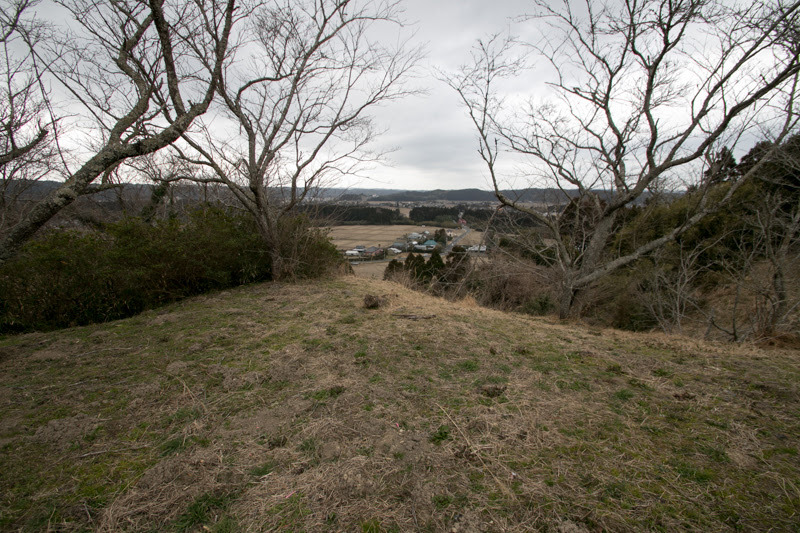 For Satomi clan which had to face dominant army at the western part of Kazusa province, Mangi castle was a backside threat to be removed. 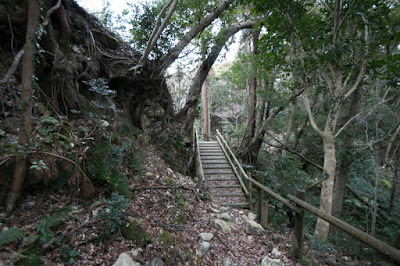 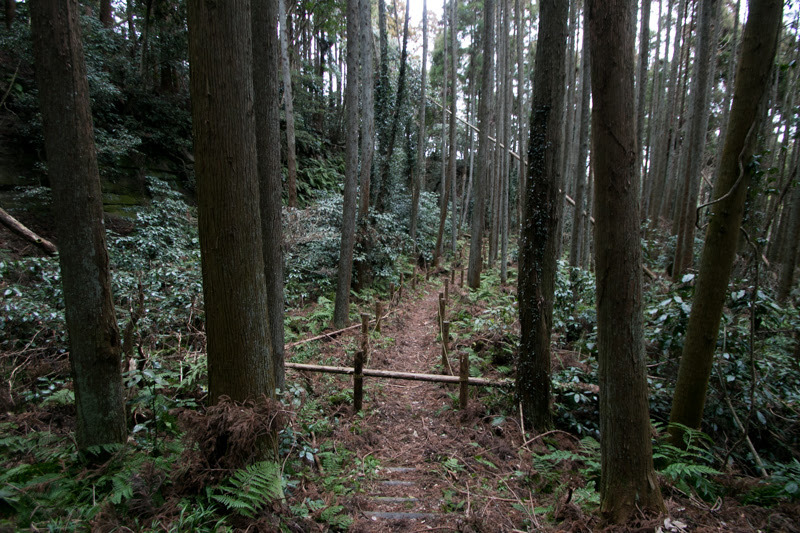 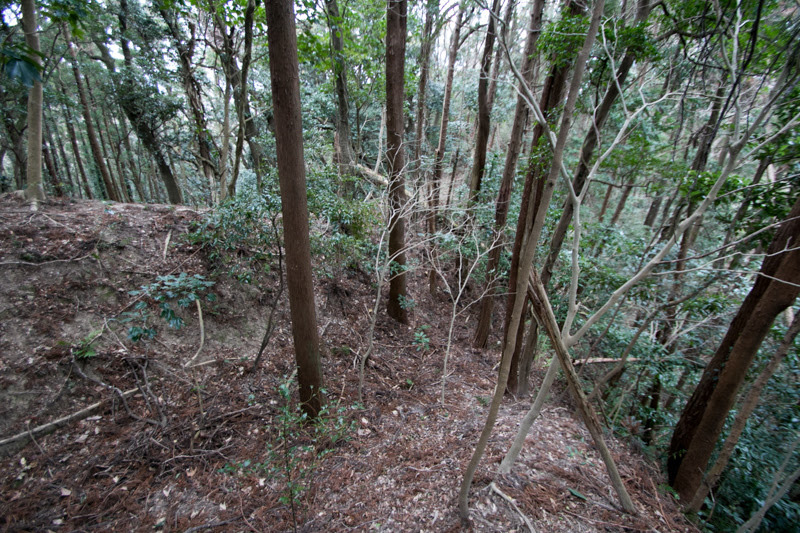 Satomi clan and Masaki clan repeatedly attacked Mangi castle in 1570's and 1580's, but utilizing mountains surrounding the territory and secure Mangi castle, Kazusa Toki clan rejected the attack of Satomi clan each time. In 1588 Tenzen Mikogami (1569-1628), who later became famous swordsman of Ittoryu school and a sword teacher of Shogun, participated in Satomi army. 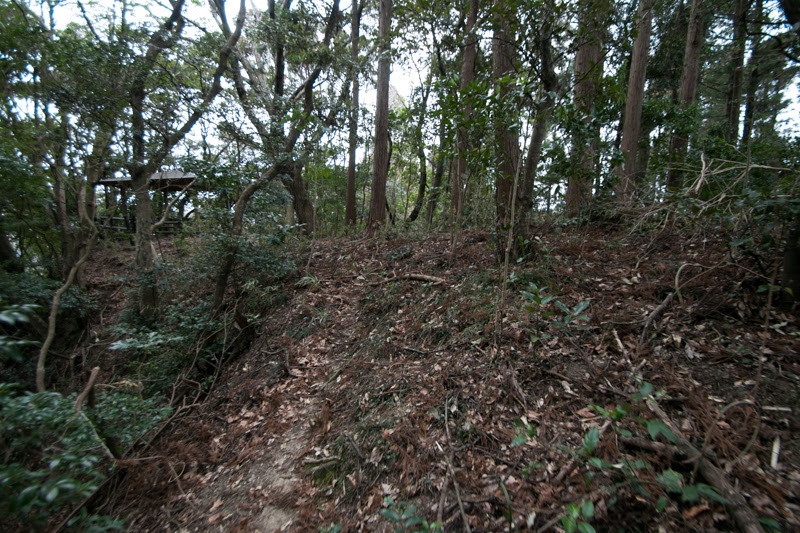 Tehzen made personal fight with the general of Toki army and killed, but Satomi clan also could not fall the castle at this time. Mangi castle is built at low height hill and seemed easy to conquer. 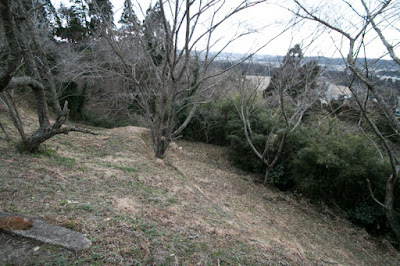 But to attack the castle, the attack side had to move their troops across the deep valley of the river and place to the narrow place between the castle and river, thus this was a good opportunity for defense side to break the enemy individually. 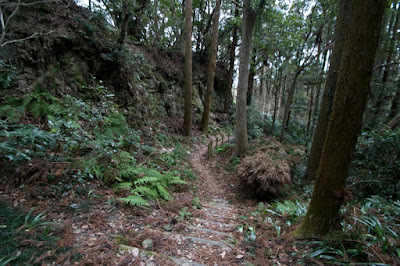 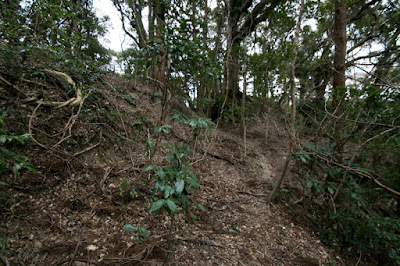 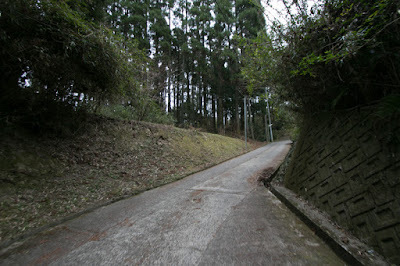 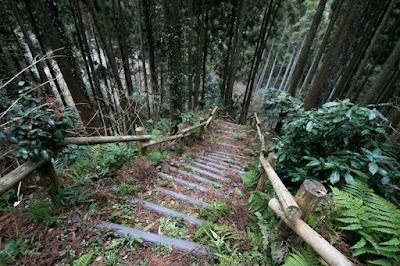 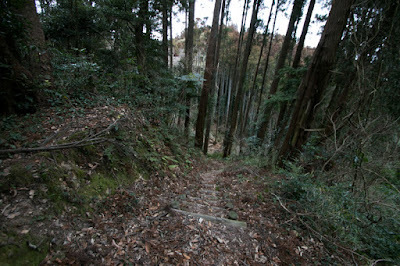 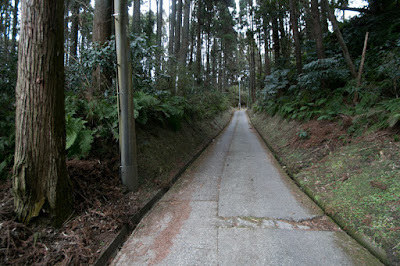 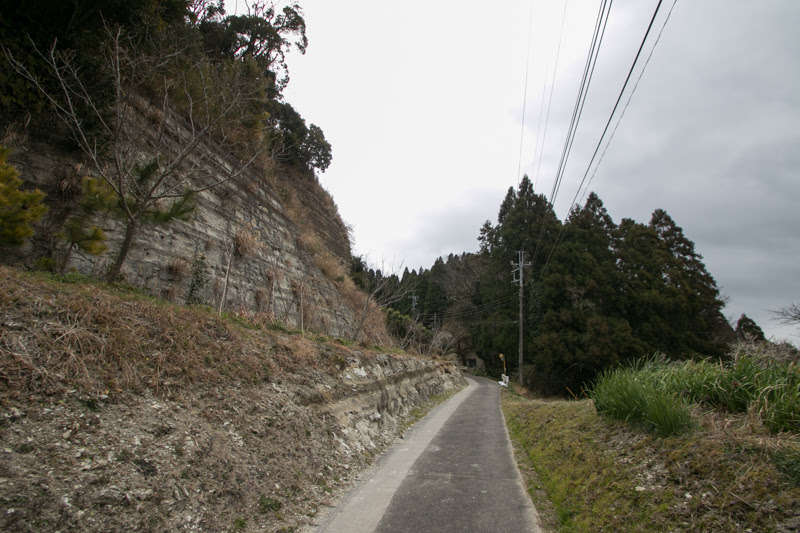 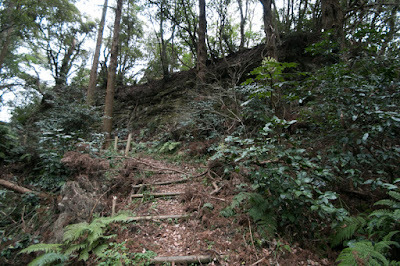 Beside, even though low height slopes of the hill were formed as vertical wall, and difficult to climb. 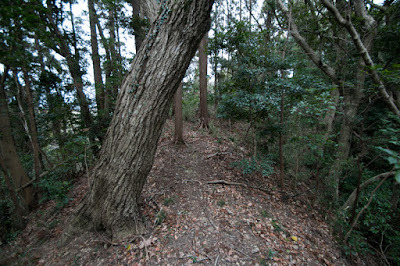 In 1590, central ruler Hideyoshi Toyotomi (1537-1598) started Odawara campaign to ruin Hojo clan did not subordinated. Kazusa Toki clan followed Hojo clan and sent major part of their troops to Odawara castle, and Satomi clan once virtually subordinated to Hojo clan turned to Toyotomi army. 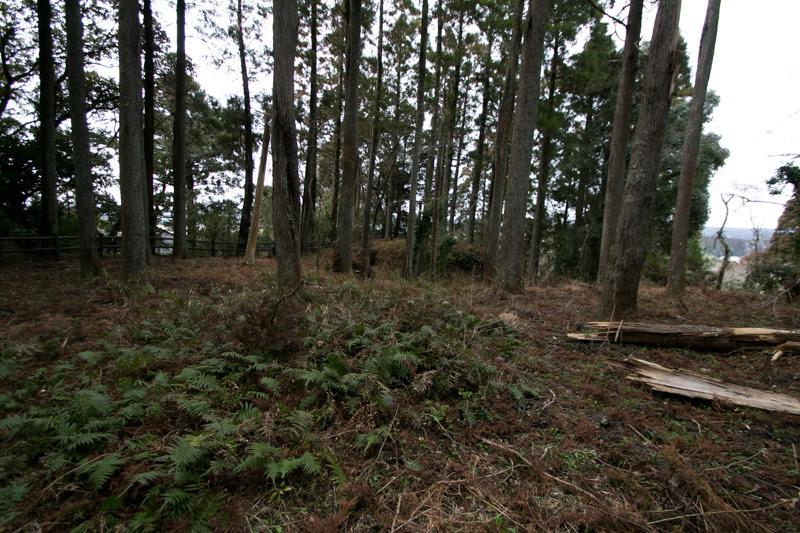 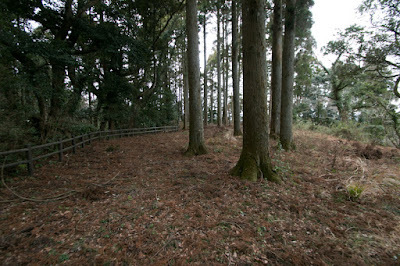 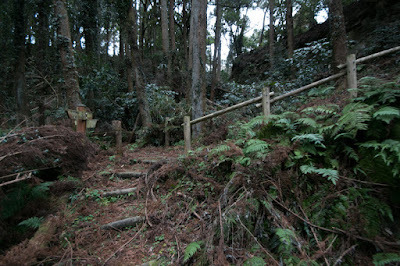 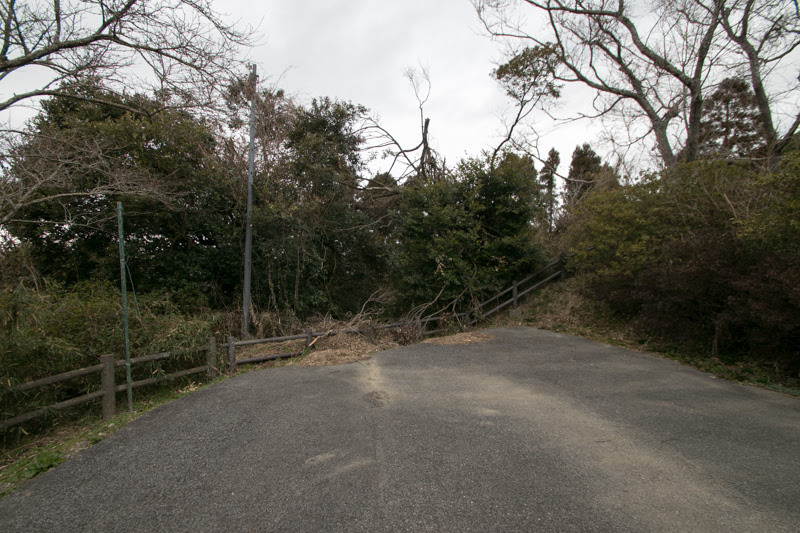 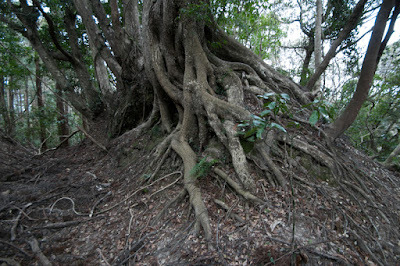 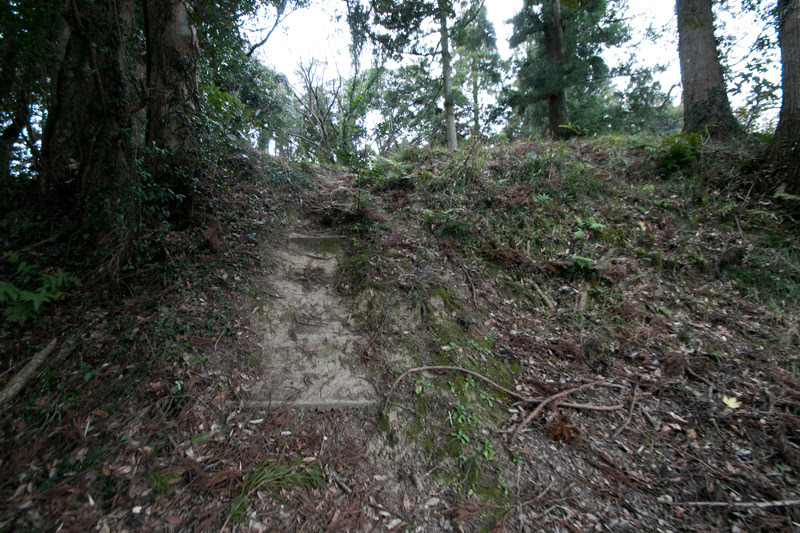 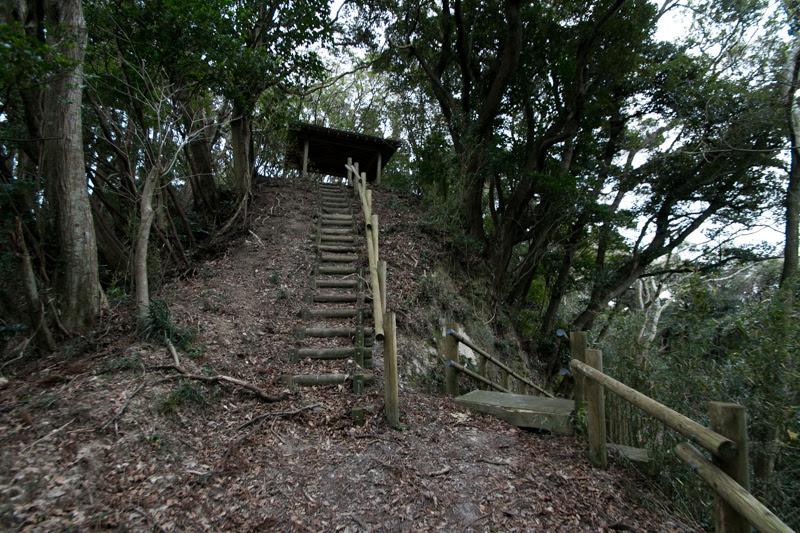 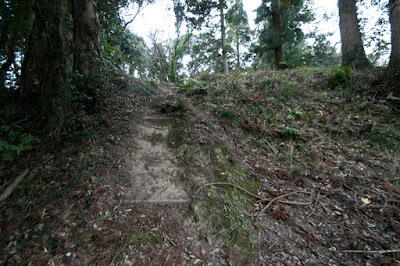 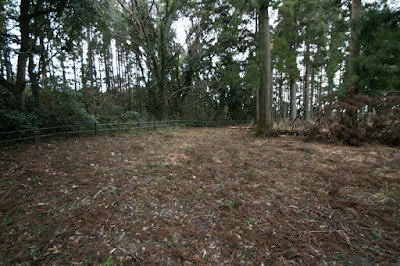 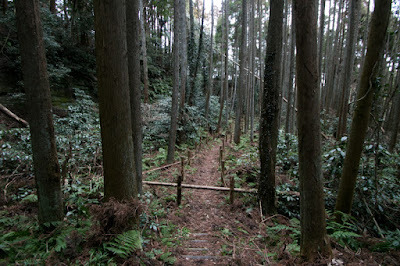 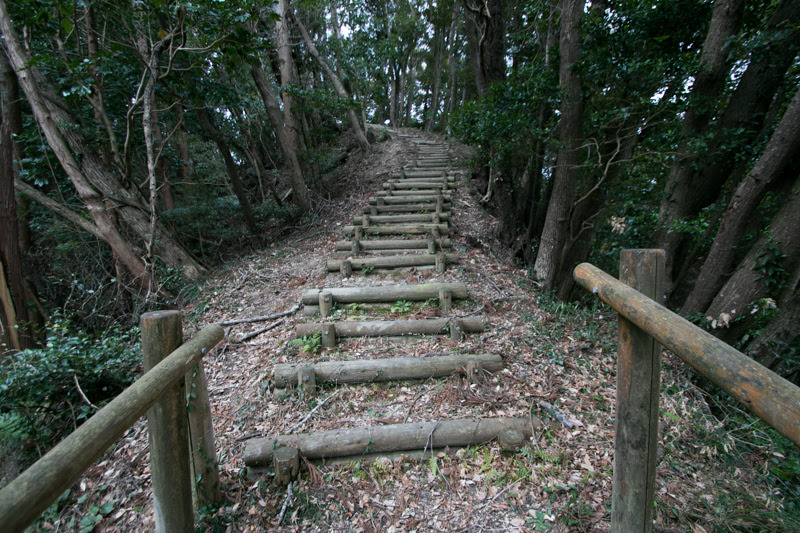 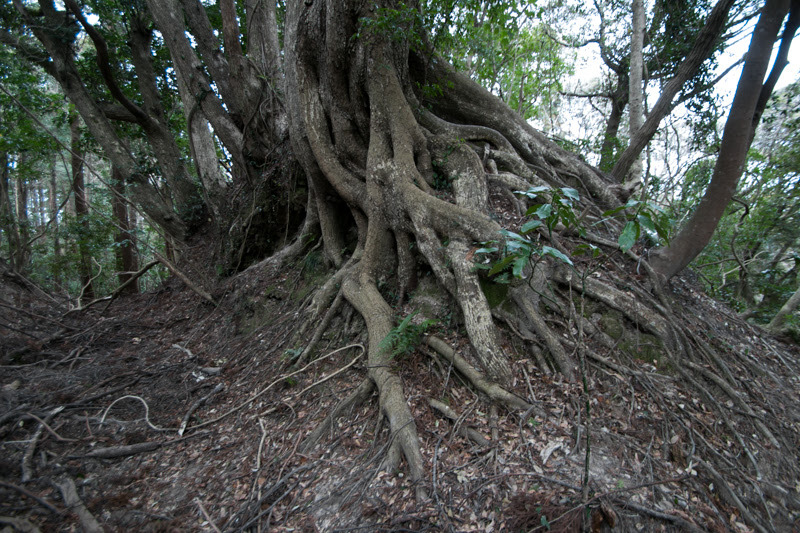 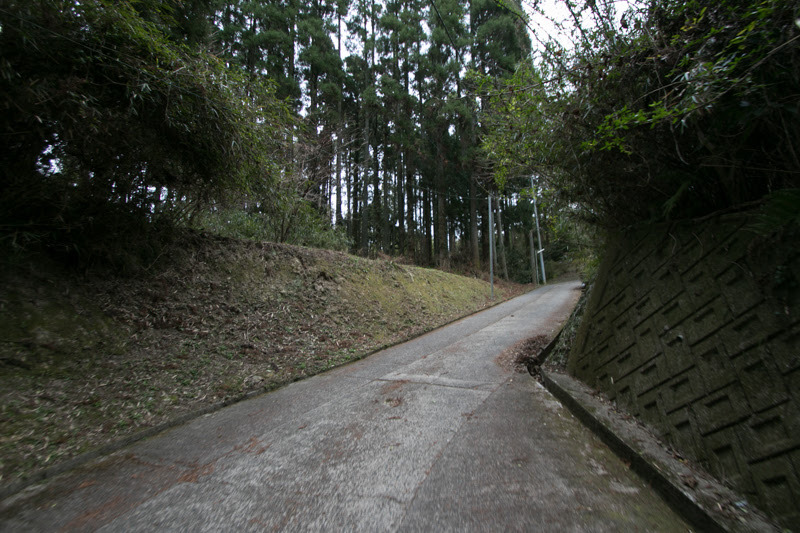 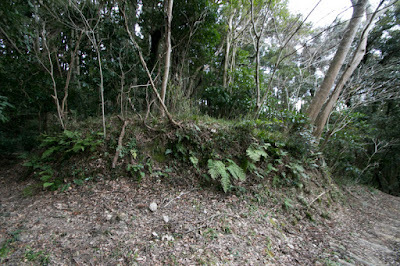 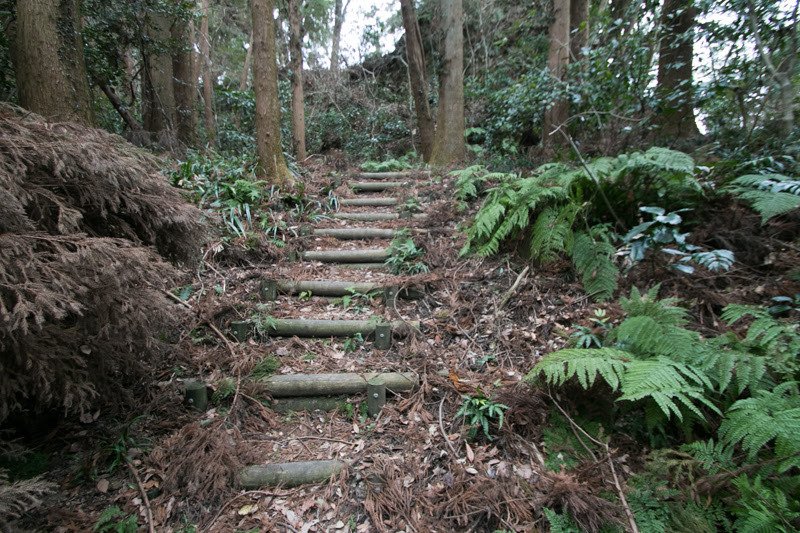 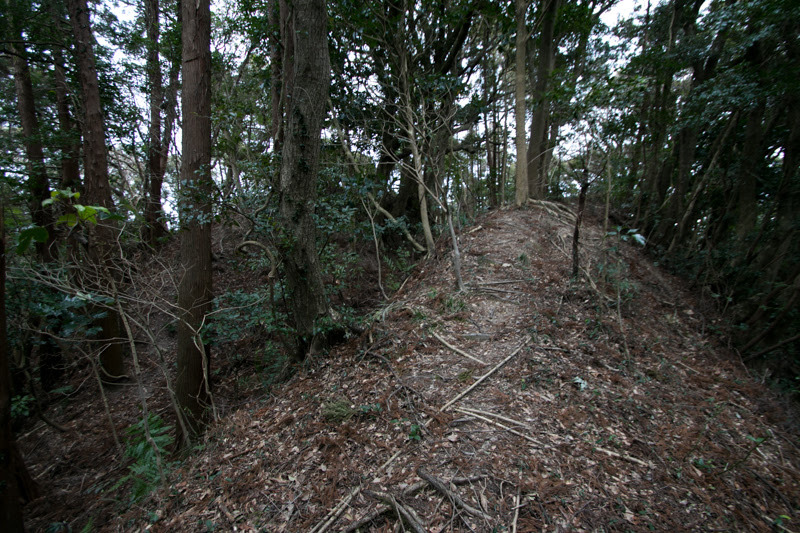 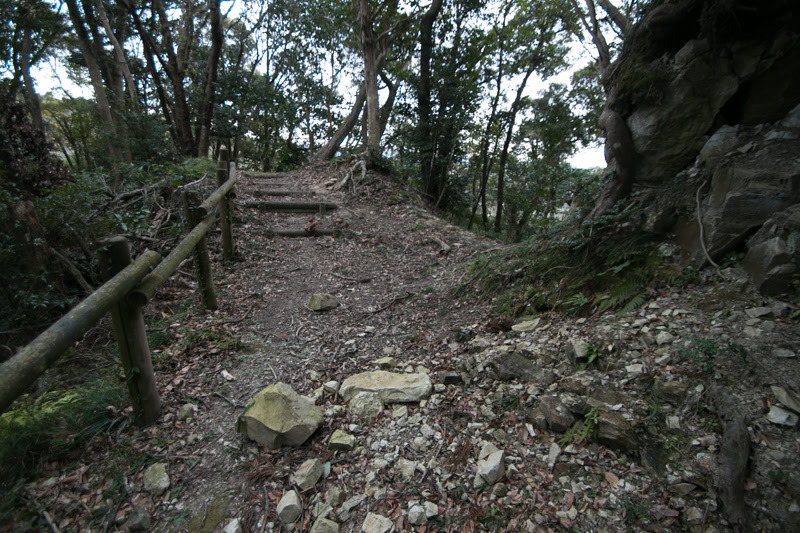 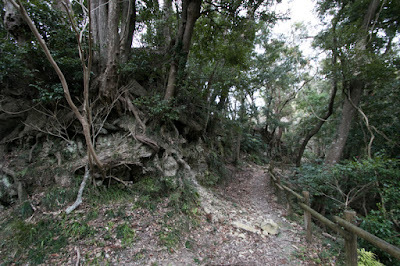 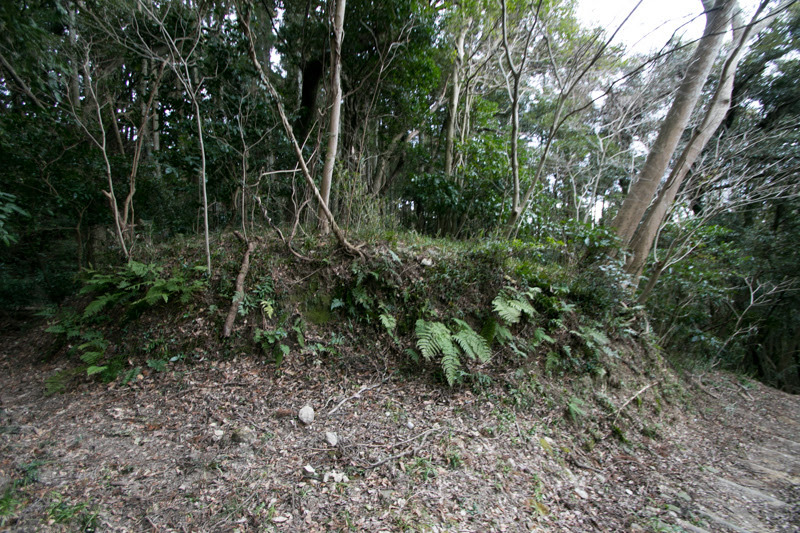 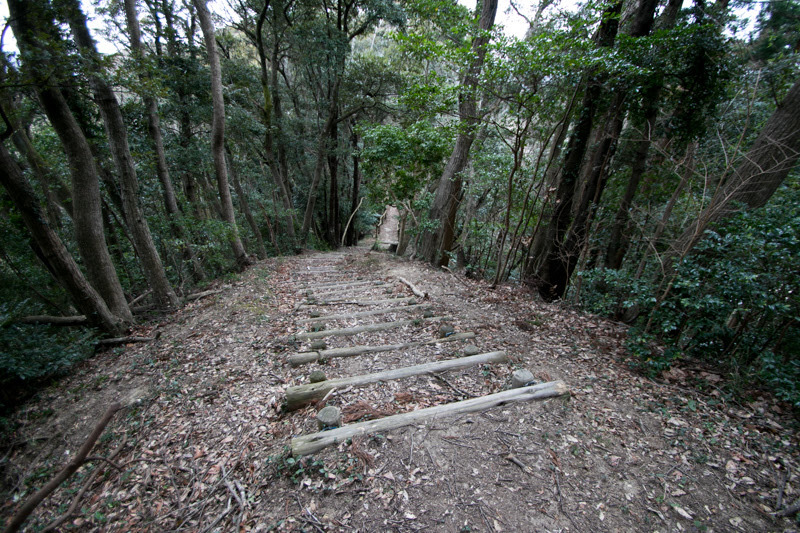 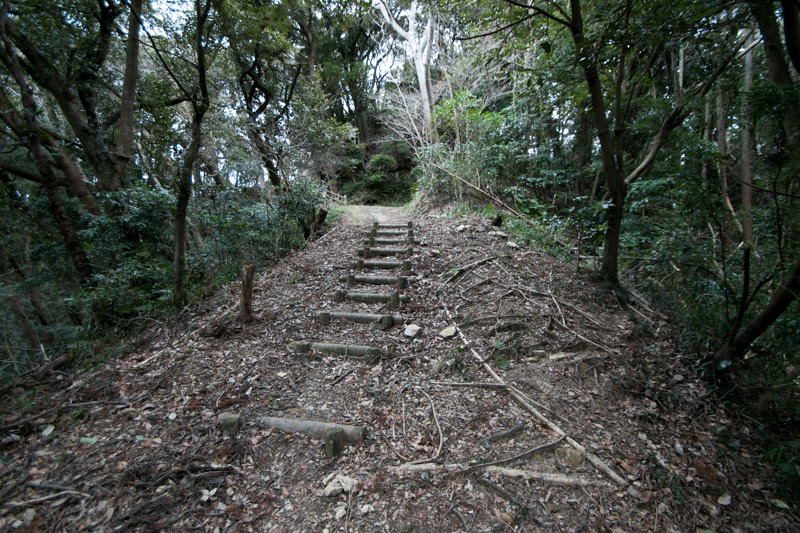 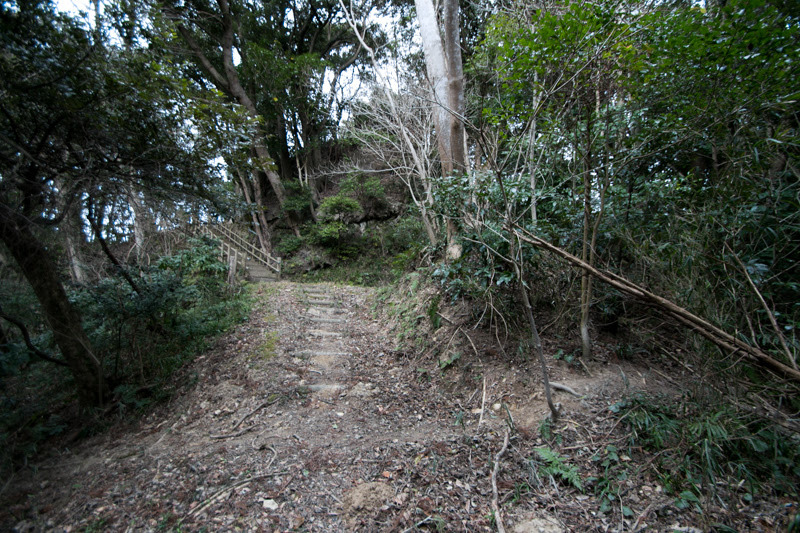 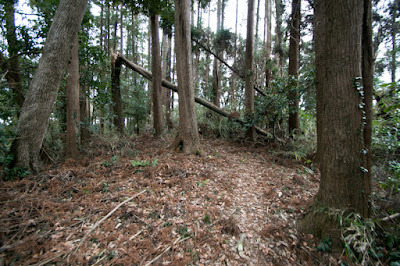 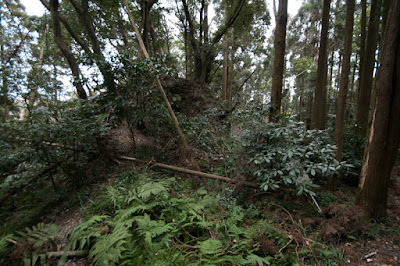 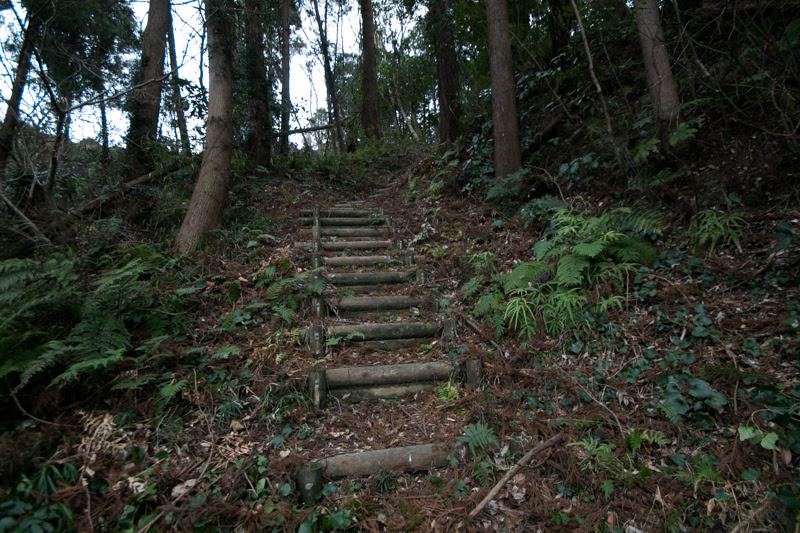 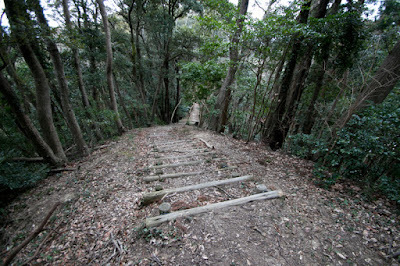 Mangi castle was attacked by a detached army of Toyotomi clan, and after resistance Mangi castle fell. Mangi Toki clan ended its history along with Hojo clan. 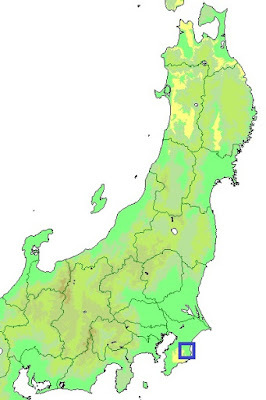 After the fall of Hojo clan, Kanto region including Kazusa province was given to Ieyasu Tokugawa (1543-1616) who was the largest lord under Toyotomi government. 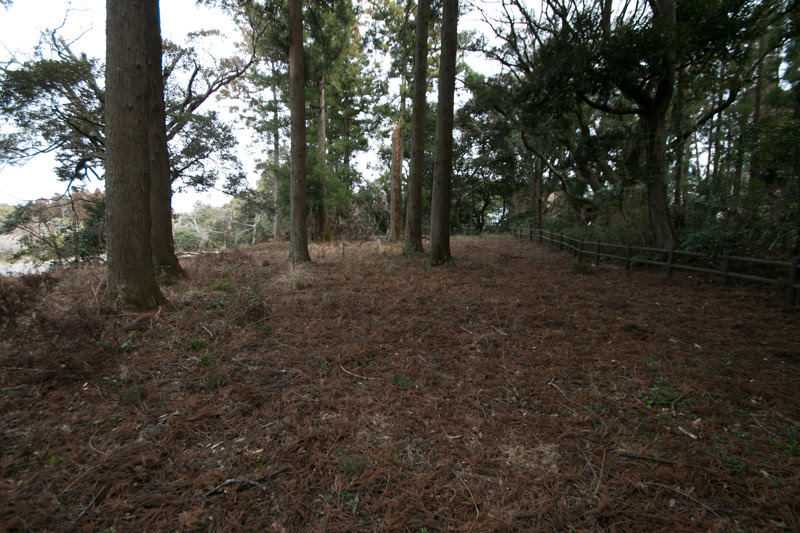 Ieyasu gave Mangi castle to Tadakatsu Honda (1548-1610), the bravest general of Tokugawa army. 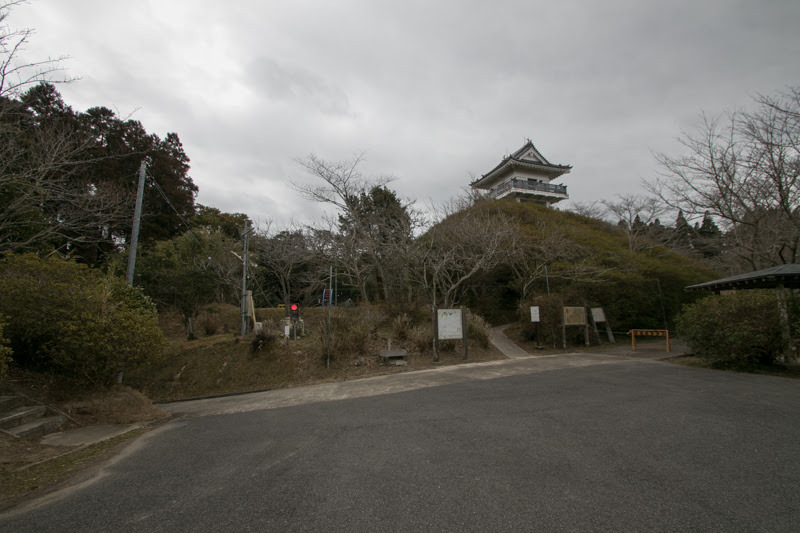 Tadakatsu used Mangi castle for a while, but later moved to Otaki castle which was more convenient for communication toward western or north part of the peninsula. 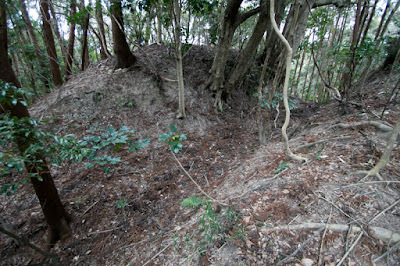 Mangi castle was disposed at this time following their former master. 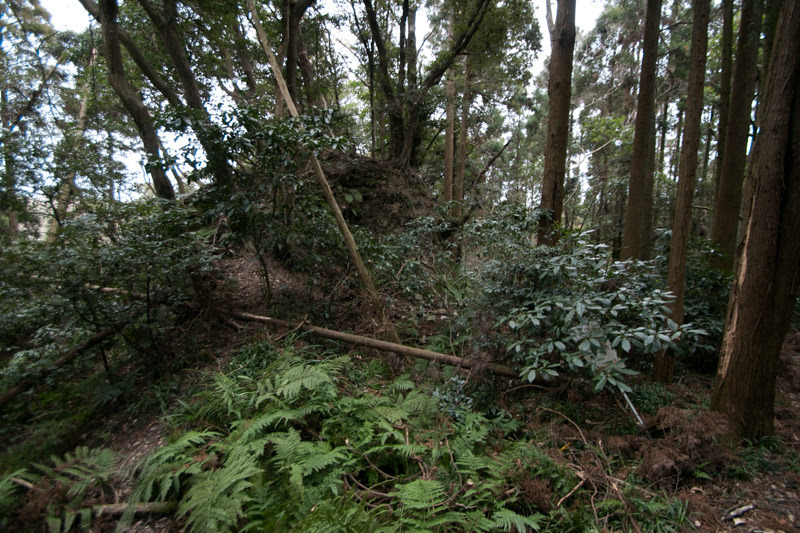 Now all building was lost, and major part of the castle lost their former shape used for cultivation or lies in the forest. 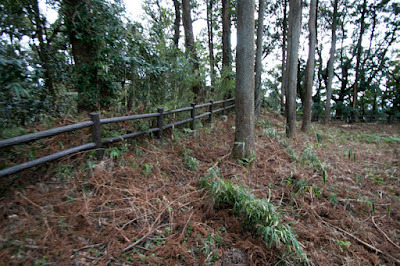 But terraces of core parts still keep shape and used as a part of the park covered by flowers, and south half of the castle also become a forest park. Now core part is easily accessible by walk or car, but it is difficult to grasp the whole shape of the castle for even experienced visitor. 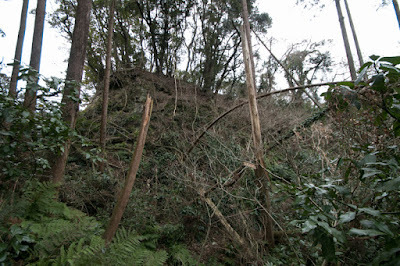 This fact quite resembles the past history of the castle which seemed to fall easily but was actually an impregnable one. 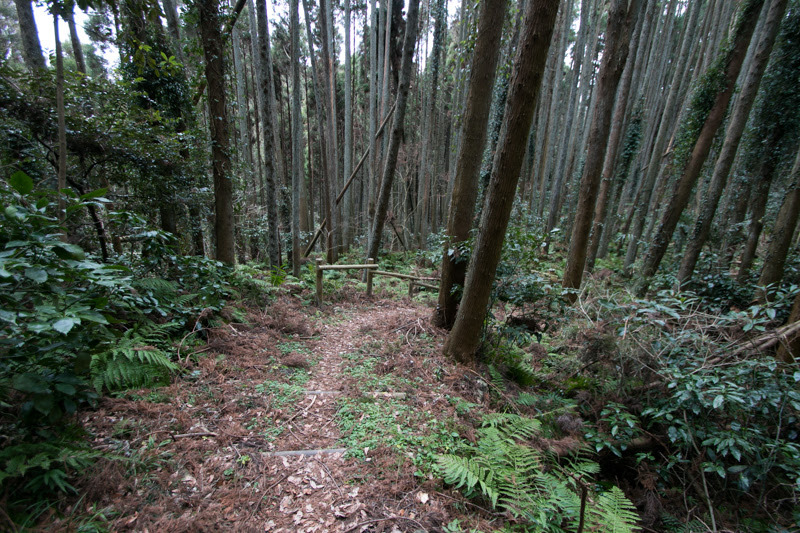 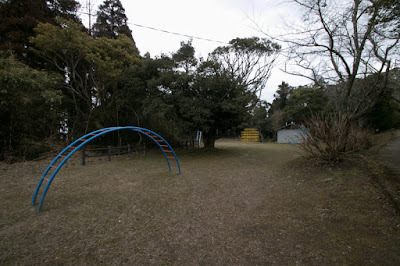 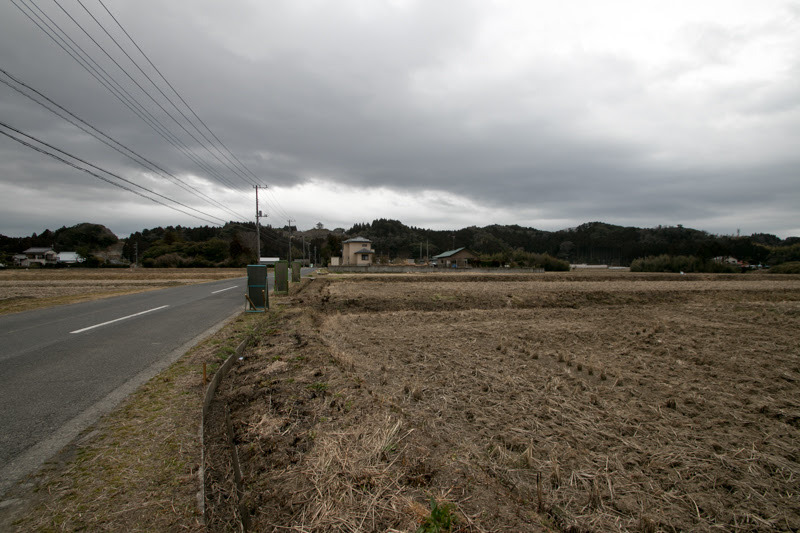 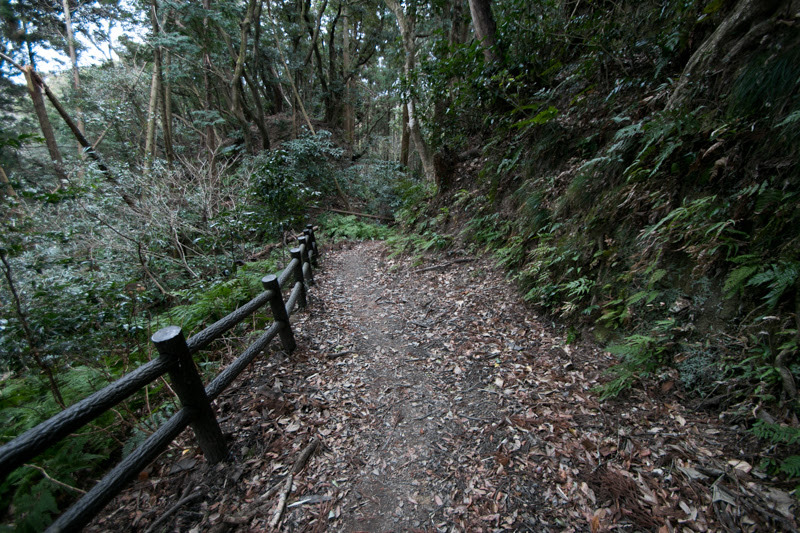 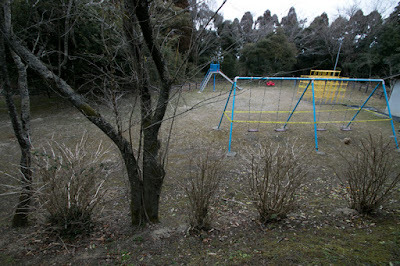 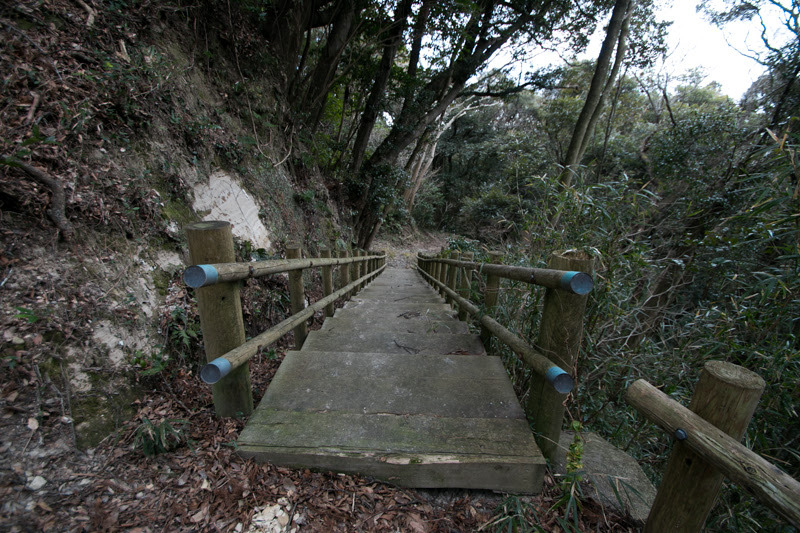 20 minutes walk from Isumi-Tetsudo line Kuniyoshi station. 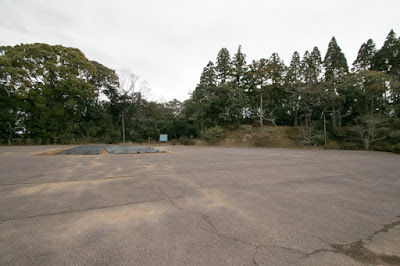 30 minutes drive from Keno-do Expressway Ichihara-Tsurumai interchange to hillside parking. 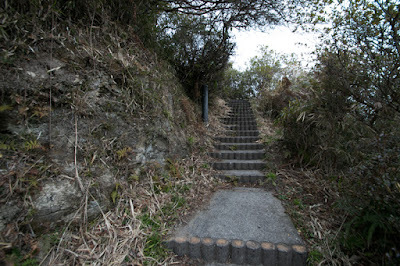 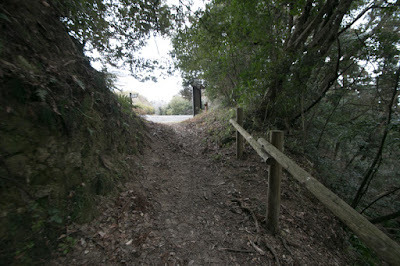 15 minutes walk from hillside to hilltop.